For almost three years, leaving the Home had seemed so impossible. My uncle came to collect me shortly before lunch. My feelings were mainly of happiness, but there was the thought that if the ideas my mother had, did not go as planned, I would be returning here. After a quick lunch at my aunts and uncles flat we set off for London. I could now go back to my own life on my own again. Soon we were in London; within a short while all my possessions were now in my bedroom, this had originally been my grandfathers room, but now it was mine. To be able to sleep in my own room without anyone chattering in the night would be wonderful. In the Home only the eldest girl had a bedroom on her own, it would have been something that I would have loved. As well as a good assortment of clothes, I left the NCH with a large world atlas, this was in a similar design to the type sold by Readers Digest, but with different covers bound onto it and a logo of the NCH embossed on the front. Although I was very pleased with this gift, I removed the logo and lettering, I did not want reminders of my stay each time I opened the atlas or if any friends were to see it. The other gift from the NCH was a bible with my name embossed in gold lettering. If there was one matter I did not really understand about my leaving, it was due to my mother questioning me several times about why the Home had asked her to take me back. I had thought I was returning to her as we were going to move to the country. I had not been told at the Home during the last couple of months that I had done anything wrong and that I was to be expelled. What should have been a very happy event of returning to London and my mother was overshadowed with the thought that I must have done something wrong, but I just could not think of any reason for the Home to demand that I should leave. During the time I was in the Home, if the matter of my returning to my mother was ever mentioned by the staff. There was the comment, that I would have to be very well behaved before my mother would be able to take me back. I decided I needed to stay out trouble on leaving the Home. There was the thought that if I did anything wrong the chances were that a place could be found for me back at the Home or in another Home. It was not a case of wanting to hide myself away, but if there was the possibility of getting into minor trouble when out with other boys of my own age who wanted a little bit of fun, it was to decide that it was either best if I stayed indoors or went off on my own. Whilst other boys of my age if caught over minor events would simply get a telling off, if I was ever caught I might not get a second chance. The move to Wiltshire would allow me a fresh start. I decided to try and go along with anything my mother said. There was always the chance that she would find that she would not be able to cope with both her mother and me. As the Home was still taking some interest in me, if she was not able to cope, in my mind returning to the Home would be quite simple. Having now managed to leave the Home I did not want anything to jeopardise the arrangement. There was one item I used to dread finding in the post that came to us, it was envelopes addressed by typewriter in blue ink. For some reason the NCH used blue ribbons in all their machines. The envelopes might not have the logo of the NCH on the front of the envelope, but I knew exactly who they were from. My only thoughts on seeing such an envelope was if my mother was making plans to put me back into the Home. Having seen an envelope at the point I was going off to school. The whole day at school would be spent worrying that I might be soon be sent back to the Home, and resulted in me wetting the bed on several nights, but without any punishments. Within a few days of settling in I returned to the school I had gone to before going to the Home. In a way I was a little disapointed that I was having to return to junior school, my mother had told me this was only going to be for a short while. Since I had last attended there had been a few changes. A new headmaster had brought a more modern style to the whole school; walls were now decorated in bright colours. There was one major change for me, I was to be placed in what to me seemed to be the lowest of the grades for my year. The explanation given was that as I was going to be here for only a few weeks, there was no real need for me to have to join a class where I might have to spend time in catching up on work that they might have already done. Most of my school time was spent either colouring in drawings or listening to the teacher read stories to the class aloud. It simply feels like I have not been away to the Home, my lessons are now the same as I would have done in the first year. I was more disapointed having reached the status of first year senior school lessons and now been given first year junior school lessons, I saw no real point in going to school, but as there was the need for periods of quiet in the house due to my ill grandmother, I thought that having to go to this school was better than having to stay at the Home until we moved. None of those in the class I was placed in I remembered from my original stay, however I did find one boy in my year that had remembered me, for most of our breaks we stuck together. At lunchtime once I had finished my lunch we used to go to his flat that was close to the school. Rules of what we were to do during break seem relaxed and no teacher ever bothered to ask where we were going. Morning break now turned out to be more fun than it had been during my last stay. Milk now came in cartons rather than bottles, these were miniature versions the type that you could purchase from vending machines, their triangular design meant that a large number of cartons could take up only a small amount of space compared with bottles or ordinary cartons. The only problem was actually drinking out of them, a small thin plastic straw was provided with the carton, this had the advantage over the paper type straw that it did not go soggy and collapse when you were part way through your milk, however it was much narrower than a normal straw and only allowed a small amount of milk to be sucked up. It was possible to get a better flow of milk if you made an extra hole in the carton to allow a flow of air in. I soon was taught an alternative method by my new found friends, if you had only made one hole the exact size of the straw; then squeeze the carton slightly forcing milk to flow out under pressure. These of course made wonderful milk pistols, we normally managed to get away with one squirt each into the air when we first placed our straws into the cartons, showering those who were several feet away amongst the crowd, with so many of us milling about, it was impossible for any teacher to catch the culprits. Some of the teachers could be far stricter than I remembered them, during one of the lessons several classes were grouped together in the hall to watch a television programme, it was one way of passing a rather boring day. There seemed no real instruction to remain with your own class so I had grouped myself with my friend and his class. The television programme had not yet started, we were simply sat watching the clock on the television and waiting. To pass the time there was a little bit of chattering, an order was given for silence, the amount of chattering died down and we sat in silence, if boredom set in my friend spoke to the boy on his opposite side and then to me, none of us was talking very loudly. One of the teachers walked over and simply yanked him up, simply asking had he not heard about the request for silence. All I expected was that there would be a minor telling off, there might be a little extra work set but I could see he would not face any worse punishment. He was now marched to the front of the area around the television set and simply told to wait, within a short while the teacher returned with the cane and in front of all of us two very hard strokes were given across each palm. Ordered back to his position, we were all left in silence except for the sound of his crying, the two of us who were sat either side of him were in absolute fear that we would now be called up to the front for a similar punishment. Eventually the television programme started and most seemed to forget about the event. If this was how the school had changed I would have to be very careful of my behaviour. During my original stay I had been given the cane while mucking about with some older boys, but to be given the cane for just talking seemed quite severe. If there was any luck making friends again with someone I knew and joining their little group I was never picked on by some of the rougher boys at the school, each morning payments were demanded from some of the younger boys or those who did not seem to have many friends. I could have easily found myself in their position. Although I was now happy with my life in London and this school, I was quite pleased when it was announced from my mother that we were moving and my time at this school could come to an end. In London the Home was twenty six miles away, when we had got to Wiltshire, it would be over a hundred. Whilst still in London I did make a final journey back to the Home just to say a final goodbye before I left for Wiltshire. I was thought capable of catching the train in the morning and getting off at the correct station on my own. The walk to the Home felt a bit odd, in the past I had always made this journey on a Sunday evening after a stay in London. Now I was free from the Home, going to it when I did not have to, was something I had never thought I would do when I left a few weeks ago. Walking through the small metal gate that I had done every day from school was an odd sensation, as this was a Saturday, there were the sounds from those out at play. It was not really a fear of returning, but simply feeling odd. The Houseparent knew of my visit, it was arranged that I would stay for lunch and possibly tea before catching the train back to London, I had been told that I would be able to leave at any point if I wanted to. My arrival to the others was a bit of a surprise, at first it might have been thought that I was returning to stay, but it was soon pointed out that I was a guest and was to be treated that way. I soon caught up with the events that had been happening since I had left. Another boy and girl had been added to the group. The boy that had arrived had taken over my bed and had also acquired my bike; I did not really resent this as he had to spend some of his pocket money on a few things for it. He had also taken over my chore of cleaning out the rabbit and guinea pigs, so my leaving had only meant minor changes to the chores in the flat. There was a little time before lunch, although it seemed daft I went out to play with the others, having arrived in my suit a few play clothes were soon found for me and life returned to as it had been before I had left. Going out into the grounds there was a small discussion between us that if I did anything wrong, would I be let off any punishment or given the cane. I decided that possibly it might be best not to cause any problems, if there was no physical punishment; it might be easy for them to keep me for a short while. If the small amount of money and my return train ticket were taken away, it would be difficult to return home, possibly I could run out of the Home and visit my aunts and uncles but there was always the chance that they would simply return me here. Nothing seemed to have changed in the grounds since my leaving; it was just like I had been away for a holiday. All wanted to know what school I was going to and did I have any new toys. Eventually it was time to go in for lunch. The Houseparent decided I could stay in the play clothes until just before I left, that way I would still be smart for my journey back. Now that I had left there was no serviette ring for me, I was given a clean serviette for the meal. The others in the flat all wanted to know what I had been doing since leaving, but really all that I could tell them about was school and how little work I needed to do. When it came to washing up as a guest I was not picked on to help out, possibly I did get two of the boys out of the task as we were sent out to play again. In a way I did miss the others a little, but as I was free of the Home I felt far happier. If there was any decision it would have been that I preferred living in London to the Home. As pocket money had been given out, I went with the other two down to the shops. Although I had not been given any pocket money during lunch, I had enough of my own money to buy some sweets. It felt odd once they were in my possession that there was no need to eat them all before tea for fear of getting them stolen. A further wander round the grounds and no items of mischief could be found for me to take part in. One final walk through the woods and I had conquered the grounds of the Home and was ready for tea. In the short time living in London I had forgotten how noisy meals could be, as a guest I had the courage to ask for a glass of milk to drink rather than a mug of tea. There was the simple pleasure of managing to get such a minor item changed. If only I had the courage during my stay to have made more of these requests, my stay might have been easier, when Sister had been in charge there might have been a reluctance to agree to such requests, but with the Houseparent there might have been the chance. Tea was finally finished and I made preparations for leaving, simply been able to put my suit on and have the ability to walk out of the gate without the need for permission would be wonderful. In my mind there was always the nagging doubt that if our move from London did not go as planned, then there was a good chance I would return here, as there was not any room in this flat, it possibly would be quite easy to find space in another flat. The Houseparent and the others found me slightly upset when it came to leaving today, it was more with the thought of my possible return than actually leaving them. How could I put it in a polite way that I hoped that I would never have to see them or this place ever again. Once out of the grounds a cloud seemed to lift from my mind, if I found myself actually skipping along the road for a few paces it was with the thought that I was totally free to do what I wanted. When it came to catching the train there was simply an odd thought that went through my mind. If I had wanted to it would have been so easy to run away from the Home, it might have only been for a short while before I was returned. If I had been careful with my pocket money, there would have been enough for a single ticket. At the ticket office probably the staff would not have questioned me as I would have actually been able to name the station I wanted to get off at, a child simply asking for a ticket to London might have been questioned a little further. The train finally came, the journey home was so nice, I now felt that I had left the Home and hopefully would never have to return. The move to the country was something I was quite looking forward to. As I was now thought to be more grown up, my mother had decided that I would be able to have more freedom. If our new location was to allow the freedom that I had before the stay at the Home then it would be ideal. If there was a bonus I was told that as we would be living in the country there might be the chance to take up pony riding again, I was bound to find a boy or girl with a pony that I might be allowed to ride. The final couple of weeks at the London flat had been spent by my mother and her brother sorting out what items were to come with us and what would have to be got rid of. My uncle was going to move into a small furnished flat so other than his personal possessions there was very little that he would need. The contents of the London flat had grown over many years; many of the items of furniture while they fitted easily into the large rooms here would not fit into an ordinary size house. Eventually many of the items were sold off, however it had been decided that a large moving van would be needed to take the items we were keeping to Wiltshire. My belongings had already been sorted out when I left the Home, there were only a few possessions that I already had in London so other than getting in the way a little I made no real difference to the move, had I stayed at the Home until my mother was settled, it would have been disappointing. It had been decided that my mother's eldest brother would take us down to our new place, the family was quite close as there had been two opposite weddings of brothers and sisters in the family. This did me out of an extra set of aunts and uncles, but having little contact with them it did not really matter. We set off, travelling by road was never my favourite, but arrived without having to stop to let me be sick during the journey. The new house was quite large, it had been built into a hillside, from the front it really looked like a building with two floors plus a large attic, but in reality there was an extra floor that was below ground level at the front, the ground floor at the front became the first floor when you reached the rear of the building. My aunt and uncle had a welcome for us when we arrived, but the moving van that rolled up a little while later was a bit of a shock. It had been worked out that my grandmother would have a bed sitting room, my mother a bedroom and I would have part of the attic, compared with the London flat the rooms were less than half the size with more normal ceiling heights. There was room for a bed, table, wardrobe in each room, but the rest of the furniture that had been brought down from London would simply not fit in, the small country size of doorways and passageways leading around the building meant that even if room was found for furniture, it would have been impossible to move the furniture indoors. The dining table when the leaves were fully out would seat sixteen, if it had been put in the largest room there would not even have been room to put chairs in let alone allow anyone to sit down, there was also a large sideboard. More tables, sets of chairs and a good selection of other items that simply were not going to fit inside. A large garage was with the house, this enabled everything to be put away in the dry until it was worked out if any of the items would fit indoors. If there was one disappointment for me the television set was packed along with the furniture in the large garage. It was not that I was actually to go without watching television as my aunt and uncle already had their own television in the sitting room. The new stock that was for the shop however occupied this room during the periods I might want to watch the television; these seemed to vanish however in the early evening when they wanted to watch T.V. At the point the moving van was unloaded, many of the local children of the village came to see our arrival, there was little to do in the village and anyone new moving in was of interest. Within a short while several boys of my own age had made friends, possibly it was to see what I had brought with me. As my main possession was an office typewriter it was of little interest to them. A long thick climbing rope that I had found in London, was left on the moving van by mistake. The rest of the day was spent unpacking, I was pleased with the attic, compared with everywhere else I had lived it was unusual, large wooden beams were exposed at various points, these both my mother and myself often seemed to hit with our heads with quite painful results. My attic bedroom had a small window in the side wall, had there been a fire it would have been possible to crawl out of this and along the roof of the shop that was at a slightly lower level. Moving to my new attic room had been quite easy, my toys, clothes and other possessions that I had in my bedroom in London all neatly fitted in. I did not have all the attic to myself, my third of the attic had a small door which kept my room nice and enclosed, the rest of the attic held the surplus dry stock like soap powder and unsold fireworks from the previous year, which were just stored loose in cardboard boxes and could have posed a fire risk. There was not room for a full size wardrobe in my room; however my uncle gave me one that had come from their house. It was possible to stand up straight in the central part of my bedroom, but the sloping roof made most of the bedroom only suitable for storing items. Within a few days my aunt had suggested boys of my own age that were suitable as friends, all were eager to see what my attic room was like, as they lived in conventional houses, to have part of a house where you were alone seemed rather scary to them, but in my mind it was ideal. A disappointment for them was that I had not brought a wide range of toys with me, having seen a large moving van with possessions for just three people, that few items were my toys was strange to them. There was a slight problem of was explaining my past. I had little idea what my aunt and uncle had told any of my friends about me prior to my arrival. My looks were a bit of a mystery to them, living in an isolated village, their main contact had been with the local village residents, as it was a small village many people were related to each other. My looks defeated them, some thought there might be gypsy blood in me, as my looks were close to gypsies that occasionally passed the village. I omitted any references to my life at the Home and before, simply explaining that I had been at school in London. They had expected me to bring clothing that were the height of London fashion, as most of my clothes were more school type or for best it was a disappointment. I was teased when they searched my wardrobe and found my riding breeches and boots, it appeared none of them had ever ridden a pony or horse. If I asked casually if they knew anyone even if it was a girl that had a pony it drew a blank. Football it seemed was the only game or sport that anyone played. A few of my new friends might have on occasions found me a bit nervous or that I was easily upset. Since leaving the Home I had managed to adapt to a more normal lifestyle, but I was still on edge both day and night. It would have been nice to be able to tell my best friends about my life for the last three years, but my mother had wanted me to make a fresh start and put the memories of living in the Home out of my mind. It would just take a decision from my mother, aunt or uncle that perhaps I would be best going back to the Home, if I did not get on with them all. There was always the constant worry for me that I might get sent back if things did not work out. When my bed was first made up, I still had a rubber sheet on my bed. When I was more settled I might not need it. Having always had a rubber sheet on my bed, I did not think much about the matter at first. I was told that on leaving the Home I might find things a bit unsettled for a time, but I would soon get over it. My thoughts were with the fear that I might be returned to the Home that caused the wet beds. In the morning after a wet bed, I managed to have a bath without getting in everyone's way. Due to my mother having to spend time looking after my grandmother in the morning, it was often my aunt that saw to my wet sheets. I was never told off, she explained that one of her brothers had wet the bed as a child and was still affected at the age I was now, he had been punished every time. I was just pleased that my uncle did not tease me over any wet beds, he came near to it after teasing me about the regular midnight visits I was making to the lavatory, to me this was the one thing that was helping prevent most night problems. The only way it really affected me was when friends were invited up to my room, I now realised that some boys of might not wet the bed and would not have a rubber sheet on top of the mattress, when they came up to my room I wondered if they would spot it on my bed. I was able to cover my rubber sheet with my lower cotton sheet, in children's home it did not really matter if they were on view, we all had rubber sheets. Had a boy of my own age found a waterproof sheet on my bed, it might cause problems if they ever fell out with me and teasing me in front of friends, as I was now in the top year of junior school it would have been humiliating. My friends often came to my room, only one boy ever noticed it on my bed and asked did I still need it. I admitted it was still needed as I still did wet the bed. On asking him did he still have a rubber sheet on his mattress. He told me that he still often wet the bed, he seemed pleased that he had found someone else of his own age that also had one, and told me he had gone to great lengths to stop any of our friends ever visiting his room in case they found out. The thoughts during the summer holidays of the new school we would be going to at the end of the holidays and what we had been told would happen by the older boys, caused both of us to have an increase of bed wetting. I realised that others that were going to the school with me had night problems. A couple of our friends at the end of the summer holiday told us that they had wet their beds with the fear of the new school. One of my friends' mother had told me to go up to his room when I had called round, I think she was trying to punish him by embarrassing him, on going to his room, his mother had just stripped his bed and put his wet sheets by the door. At 11, he was almost in tears, without his mother hearing, I told him I would not tell any of our friends and that I also needed to have a rubber sheet on my bed. My lower sheet was tucked around my rubber sheet there was no sign it was on my bed unless you took a close look. I thought another of my friends must have realised I still had a rubber sheet on my bed. One Saturday, he had been given several chores to do. The best part was to have a bonfire of all the rubbish and other junk that had accumulated over the last year. As there were some heavy old bits of furniture, I had been roped into help. As well as moving the junk, time was spent by the pair of us deciding what items his mother had told him to get rid of, that might be worth keeping. The original task should have taken less than an hour; slowly the bonfire pile was starting to grow. We could have set fire to it straight away, but both of us decided on one good blaze at the end. One item, he brought out of the house and announced to me that it was no longer worked, was a large canvas sheet, with a stitched rubber sheet on top, trailing from this were some wires and a small box. He told me that the buzzer sounded if you ever wet the bed, but it had never stopped him wetting the bed. I was asked did I ever have one of these on my bed. I told him that I had only been given an ordinary rubber sheet, rather than anything with a buzzer. He told me he was back to the ordinary type, as he still wet the bed quite often even at eleven. I said that one was still on my bed as was still needed. We wondered how many of us at our age had them on our beds and how many of us really did need them. It was never something we would really admit to our friends about. I told him that my mother used to hit me with the plimsoll for bedwetting, but since we came here she has not bothered. He told me that when his father lived with them he was often smacked, but now he didn't get hit. We salvaged the buzzer and spent a little while working out in which order the wires went together to get it to sound. Tasks like this took time when we should have been concentrating on the moving of the rubbish out of the house. Eventually we started the bonfire, his garden was big enough to allow the fire to take hold and burn down without causing any problems. Soon I was settled in more of a normal type household, whilst my mother looked after her mother and did some work in the shop, my aunt spent all her time in the shop, my uncle spent his time either in the shop or delivering or purchasing stock. The shop was a grocers that sold nearly everything the local population could want, if there were a couple of rather out of date ideas over what the local population required it was that paraffin and vinegar was sold loose. My uncle slowly tried to get the villages to by vinegar in standard bottles, but the small saving that was made by them bringing their own bottles to be filled seemed worthwhile in their minds. When my aunt and uncle had first taken over there were a few things that needed to be modernised, cheese had been cut from large blocks with a knife, now a proper wire cheese cutter was purchased, the ancient bacon and ham slicing machine was replaced by a more up to date model. The shop was open every day except Sunday, during the week there was a half day closing, this enabled my aunt and uncle to have some time away together, often this ended up by going to purchase more stock from the wholesalers. Saturday was a quiet day, most Saturday afternoons my mother managed to get time off from needing to look after my grandmother, my aunt was around to deal with any needs my grandmother had. Saturday afternoons had my mother deciding to either to take me into town with often a visit to the library or for shopping. If the weather was fine we might head in the opposite direction and visit towns further away for a little more variety. On the Saturday afternoon trips with my mother, I was always required to be smartly dressed. As I still had my blazer from the Home there was a choice of that or my suit which now I was eleven was getting a little on the small size, every seam had now been let out to its full extent, unless I was very active it was still reasonably comfortable. The only annoying matter was that my mother wanted to me to wear shoes, to her plymsolls or baseball boots were not thought to be neat enough to go into town. My ankles had started to become rather painful again due to them rubbing on the back of my shoes, both my current pairs of shoes caused discomfort. For most of the time I put my riding boots on and wore my riding breeches. If I was requested to wear shorts I would still prefer the boots to my shoes. As there was never any chance of meeting up with my friends, getting teased over my looks never occurred. With the summer holidays not been far away, there was the hope that I would not have to start school until after the holidays when senior school would start, but a local junior school had a place available, I would go there for the last few weeks of the term. Returning to junior school was a bit disapointing. 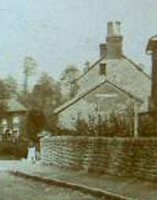 As it was a village school, there were not several classes to each year but instead one class covered a complete year. It seemed a little strange where for some lessons we were taught as one group and for others small groups according to ability were formed. The local children had a vocabulary all of their own, many everyday words were totally different to the normal language, there was also many grammatical errors that even with my poor written and spoken English would have been picked up by the teachers and corrected, but it appeared that a request from a friend of 'can I lend a pencil' or 'can you borrow me a pencil', when the request from them was simply to borrow a pencil from me. During my time at the school, I was made to take the eleven plus exam. I was the only one here that had not taken it. The rest of the class had there desks moved to one side and a quiet corner was reserved for me. Even when the exam papers were taken off me, I knew there was no hope of me gaining a place in a grammar school. I was told that there were only two pupils that had enough of a pass mark to gain a place if they wanted. I reasonably settled into school life with out getting into too much trouble. As I went home for lunch I managed to miss the event where several of my friends were given the cane by the headmaster for throwing small amounts of potato during the meal, but having already received similar punishment for that type of crime whilst at the boarding school, it would not have been a new event. I was told that if the headmaster gave you the cane it did not hurt that much, if it was given by our teacher you were always in tears afterwards. The most major event at school I was to be involved in was to be caught exploding full rolls of gun caps in the lids of our desks during our afternoon break period. The five of us had been taken out into the playground, our punishment was in front of everyone that was out at play. All thought it was sever punishment to be hit on the rear with the three foot long board ruler by our master, the open space of the playground allowed him to get a good swing with the board ruler, all that were watching could hear the loud crack as it hit our rears. The sharp edges made it seem to my friends to hurt more than the cane, in my mind it was about equal for pain with the cane used on my legs. We were all in tears, in the last year of junior school, it might have been felt we should have been able to take such pain. It was that every boy and girl here could see our pain that made it worse. Once released we headed for the boy's lavatories to see if there were any marks. As it was summer we had all been in rather thin school shorts, if it had been winter then thick school shorts would have lessened the pain. The edges of the long ruler showed up as two lines, although we had only each been hit three times, the marks made it look as if we had been given six strokes of the cane. The only reason our teacher had selected the board ruler to punish us with was that the cane was in the headmasters office and it was locked at the moment. As this was a village school, by the time we were returning home at the end of the day many parents soon knew about the few of us that had been punished. If I had any hope of keeping such matter a secret from my mother, it did not take long for her to hear about the events of the day. Even before we had sat down for tea, one of the other parents had been in the shop and mentioning to my aunt that I was one of the boys who was punished that afternoon. There was no real telling off at tea for the events, it was just hoped from my mother I would not be in any further trouble. On going to bed that night my mother wanted to know if I was still in any pain. I replied that it still felt a little tender, there was a rather embarassing moment when I had to display the marks to her. There was little sympathy from her, in her view it was my own fault next time I should be not involved if others were doing stupid things. 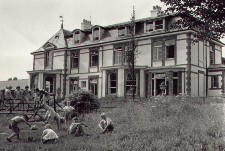 The new part of the village school was built on the recreation ground, near to this part of the school a few retirement flats had been built. For most of the time we made little contact with the older adults. There were complaints about our behaviour; this was mainly at the time we left the school at the end of the day. We often were in high spirits; sixty children do make some noise but we soon would be away from the area. With the various complaints reaching the school we did get told off on a few occasions, this might have made us even more badly behaved outside their flats. If we found a way of annoying them, it was by staging mock fights on the grass near to the flats. Complaints would soon be telephoned to the school and a teacher would soon come out to find the fighters. A simply circle of children chanting made it look like a fight, we kept the circle and the chants going until the teacher arrived. It may have been a mystery to them that no boys could ever be caught fighting. There were no punishments that could be given to us other than a telling off for causing a noise near to the flats. With the knowledge we were always watched from the flats, we always thought we won such a battle if it was witnessed that none of us was actually given a direct telling off. Eventually the summer holidays came, most of us were looking forward to going to senior school, but for many there was some fear over starting a new school, having spent all their time in this single infant and primary school. I kept quiet over the previous senior school I had attended at the start of the year. All of us had been told that on the first day there was a ceremony that all the new boys at the school were put through. You would normally be taken by the older boys at the school to the sinks in the school lavatories where your head would be ducked in a sink of cold water. If you ran off or tried to cause trouble you might find that when you were eventually caught your head would be put in the lavatory pan instead. For the adventure of a new school, this one matter was rather off putting. Most of my friends had older friends already at the senior school so that they might have some protection, for me the senior school would really be like starting a totally new school. A couple of my friends that did not have older friends at that school to protect them, were quite scared of what the new school was going to be like. 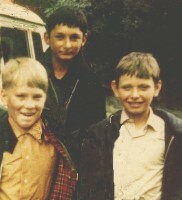 I had made friends with several of the boys in the village and plenty of time is spent at various activities, in a way life is a little odd, whilst we were at school we tended to often play together, during the holidays the local children seem to split into two groups. One group seemed to be made up of boys that either live in the council houses or in the more traditional areas, a second group seemed to form by those children who live in the newer parts of the village, if there is one area that the two groups differ it is that those in the newer parts often have parents that have cars, if they go into town, they tend not to use the bus. There were never any fights between the two groups, placing me exactly in one of the groups was a little difficult, I was neither one of the traditional village boys nor one from the newer part of the village, my life was that of a double agent. However for quite a bit of the holidays I was on my own, freedom away from other children was actually a pleasure. On Saturday mornings a few of us took an early bus into town. Saturday morning cinema was something we could all afford and it did get us out of the village. The town possessed two cinemas. The choice was made for us by the time the bus arrived, if we were on time it was the larger of the cinemas that were visited, sweets and drinks were slightly cheaper. The other cinema was visited when the bus was late. 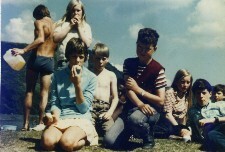 The local children were often encouraged to dress up for various themes on occasions. Those of us from the village, never thought of joining in, the possibility of other friends seeing you, was not something we ever wanted to happen. During one of the shows, there had been a theme of cowboys and Indians. A selection of costumes had been brought in; some were very good others quite pathetic and we gave those some well deserved jeers when they went onto the stage. One of the films was about a group of pony rustlers on Dartmoor, at the end of the film various prizes were given out to those who could shout out the answers. If there was anything unfair about this type of competition it was only those in the first few rows that had any chance of their answers getting heard. Not normally one to bother ever shouting the answers as there were always plenty of more vocal friends around me, but they never seemed to get picked even the correct answer had been yelled out. One question was asked as to why you would not wash with the soap. For most boys the simply answer was that they were not dirty enough. It was an answer I knew; normally the questions were answered correctly within a few goes. There was one final request for the correct answer. If we were baited it was that the manager told us that he was going to eat the box of Smarties that was the prize, rather than ask us a different question. It was a challenge I could not resist. I found myself yelling out. That the soap was to be used on a saddle. The manager had a good aim, the box of Smarties actually made it to me rather than having to go up and collect it. The bus arriving late did have some advantages. I found it quite easy to make friends with boys who seemed to be even more left out of the village gangs than I was. Near to where I lived a family had recently arrived to stay for a short while during the modernisation of their house in the town. There were two boys, one a couple of years older than myself and one who was my age together with a sister of about sixteen. As the boy of my age was due to start senior school in the main town rather than join our village boys at the local county senior school, there was little really to cause him to fit in with the boys from the village. I possibly made friends with him simply due to him not been one of the village boys with their lack of knowledge of life outside the village. If he was a little lonely it was that his older brother spent most of his times away from the family staying with friends and his sister was just too old really to play with. He was not really spoilt but it appeared he was given a good range of toys to keep him occupied. A large meccano set was in my mind one of the best toys possible, but in reality he had lost interested in it, even though it was one of the higher numbered sets that contained all the special parts to enable the more elaborate items to be built. I was even allowed to take the kit home to see what I could build with it, this was not simply a generous act, but a way of getting all the items into their correct compartments, he had partly completed one of the more complicated designs and become bored not really having the inclination to take it apart. I was allowed to borrow the kit for a week or so, provided that I returned the kit in its boxed state. A week of pleasure on my own was achieved, although I did not complete all the items shown in the instructions I had a go at several, some with more success than others. Eventually I decided to return the kit back to its rightful owner. Play clothes during the holidays were left up to me, although it was fine enough weather for shorts, those of us that were attending senior school in a few weeks time did everything possible to make it look like we had really left junior school, long trousers or jeans were the things to be seen in. As a present from my aunt and uncle I had been brought a real pair of jeans, having worn them a few times they were still stiff and rather uncomfortable. My riding breeches to me were much more comfortable for both indoor and outdoor use, having now been let down to their maxium length by my mother they did not look to short for me. For most of the time a pair of baseball boots seemed to allow the freedom to climb or run. Simply through getting the baseball boots muddy and waiting for them to dry out making it easier to clean, I had put on my riding boots to take the meccano set back to my friend. On arriving at his house it appeared he was out, his older sister was in charge. He had gone out with his mother to buy his school uniform for next term and was not going to be back until teatime. Not wanting to return later with his set I asked his sister if she could take it off me to give to him. It was not really spitefulness but I was informed that she was not going to lug his toys about; I could take it up to his room if I liked. The size of the box made it look heavier than it actually was. I asked if it was all right to come in with my boots on, they were quite clean but taking them on and off was a little bit of a struggle. At this point his sister became much more friendly, my clothing was recognised for what it was, I was asked did I have a pony to ride, I truthfully replied that coming to the village seeing a pony let alone riding one was not something I had achieved. I was now told that she sometimes was allowed to ride a friends pony near to where their main house was, but since their stay here she had not had the chance either. I was led through the house, she remarked that her brother seemed to have no other friends; it appeared I was the only one he had ever mentioned. I was taken up stairs, I had suggested that the box was best kept flat; it appeared that his room had a work table that was big enough for the box. His sister told me that she had been given the task of tidying the house whilst they were out, which in her mind was a little unfair. Entering his room the table was quite easy to get to allow the box to be put down without all the small screws and fixings falling out of their compartments inside the box. I was told that the following week they would be moving, there would be chaos as everything was packed away again, hopefully he might disappear whilst they were moving. There were a few more chances for us to meet up before he left, then I resorted to my village friends for company until the summer holidays ended. Living with my mother together with my aunt and uncle went reasonably well. It was not really conflict with my uncle, but it was clear that I should improve on the education and sports side of life in his mind. On both of these matters he had been top, there was no higher ranking during his growing up that he could have achieved unless he had gone off to university or the like. It was his view that I should also aim for this. If my early years had been settled, it might have been something that I could have taken in, but even since leaving the Home although I was now more settled I was still a little on edge. That I was not interested in football, cricket or group sports was in my uncle's view put me as a bit of a failure. If it was to rub it in it was to tease me over various matters, getting calld Phyllis in front of my friends really did get me down. Teasing was still something I could not take and was apt to show my feeelings over such matters. Generally there was no serious problems between us, only on one occasion was I threatned to be taken out to the garage and given a good dose of the cane. If that had ever happend I would have either taken the punishment and improved or I would have shown to have real problems. With my uncle often having top marks while he was at school, there was one advantage for me. During many of his later years at school, he often won many of the prizes. Top marks, Head Boy and several other ways he won books as prizes. Several Boys story books were now passed down to me. School story books of the 1930s were different in content from modern annuals, it was possible to sit down in a quiet spot and keep out of everyones way. Soon I was hunting through second hand bookshops for similar works. On one of our outings to a local town, our visit coincided with a garden party and gymkhana. By chance it was one of the days when I had decided to wear my riding boots and breeches, so I did not look out of place amongst the many girls and couple of boys who were dressed in a similar fashion to me. There was slight jealousy and envy with those of my own age that had their own ponies, in a few cases it was seen that a pony might be shared between brother and sister. The organisers were seeking a few willing hands from those that were not currently riding to help move some of the obstacles and jumps that were part of the many events. My mother seemed to push me forward as a willing helper. Once everything was set up I stayed close to the event area as it was easier than trying to return to my mother at that point. During one of the fun races the organisers tried to get a team of girls to challenge a group of boys, it was easily seen to be unfair as the girls would always out number the boys. Suddenly I was roped into a team, it did not matter that I did not have a pony, this was a race where everyone rode a different pony, it was fun it seemed for most to be allocated the pony of the wrong size when selection was made. The first part of the game was a simple obstacle course. I had not ridden a pony properly for three years, did not really matter, falling off part way round this course was part of the game. I drew a pony that was correct by size. When the competition finished, the girls won, I was congratulated along with the other boys in having a go. At that point I expected return the pony to its rightful owner. The girl who owned the pony was a little upset, it was not with me for borrowing the pony but she had bumped her arm on a post a short while before and now was not able to do any other sections in the competition. I was now asked by her parents if I would like to do her next competition instead, it did not matter if I did not win, but if the pony completed the course she would get some points as every section had been entered. If I admitted that I had not done much riding recently I think the girl would have been more upset that her pony was not going to be in the competition than if I was last. I agreed to take her place. It was not really anything difficult, the worst part was going over a small jump, when I had been on the pony at the farm, I had gone over a few jumps, but no real effort had ever been put in by the pony. The pony I was on today had other ideas, a couple of jumps were not very high, the pony treated them as if they were massive and almost sprung at them, by the time the third and final jump was reached I knew what was in store for me, although the pole was knocked down we completed the course and she got her points, I was joint last with another girl, so it was not a disappointment for me. The mother asked me to give her my address, certificates were often issued later, if there was one for me it would be nice for it to be sent on. I finally said my farewells to the daughter and her pony and went in search for my mother. There was not really a telling off, my mother was a little cross that since I had been sent off to help with the setting up of the course I had disappeared, she had spent the last hour looking round the stalls to see if I had wandered off. Explaining that I had taken part in a couple of the events seemed to get me forgiven; it was the one area that my mother had not thought to look. Today I had been happy, if only there were more chances like this to get to ride a pony. It was just luck that we were far enough from our village for none of my friends to be here, taking part in such an event with mainly girls would have been something to tease me over. A couple of weeks later, I was sent my certificate for taking part in the days events plus a small photo that had been taken by her father of me knocking the pole down. The photo was not that bad, the pony was almost floating in mid air, with the pole falling to the ground. The final item that had been given to us at the primary school were details of when we should appear at our new school and information as to what our new uniform should consist of. Having attended several schools, uniforms could be either non existent or very detailed as to our needs and even down to the exact shade of colour of various items. To my mother the list for the senior school although not horrendous in quantity, would leave a big hole in funds. My uncle and aunt purchased the blazer for me with the correct senior school badge on the pocket, together with the school tie. Long grey trousers were the other major item to purchase, now I was just over five feet in height I was very happy not to have to wear shorts to school. Shirts, pullovers and the like could survive from before the summer holidays provided I did not grow too fast, most of these had been new a few months ago. The games kit was the other extra item that was needed, shorts of different colours for PE or games, most things in my games kit were new for the start of school year. A pair of football boots and a pair of shoes were purchased together with a few other items from a mail order catalogue on weekly terms; this slightly lessened the money that my mother had to find. A few other items like pens, pencils and drawing items were finally added to the new assortment. The final few days was spent by my friends and myself dreading the first day of school. A couple of our friends admitted that they had wet their beds due to the fear they had of starting a new school. Two of us just told them they had nothing to worry about, it was just something that happened to a few of us. Had I been simply starting a new school on my own without any knowledge of what was waiting for us, I would have been less fearful. The morning arrived, for our new school we needed to wait at a central location in the village for two school coaches to arrive to take us the four miles to the local county town. Which for boundary reasons was not our local town but slightly further away, having its roots further back in history. That it would have been far easier to go to a local senior school about two miles away did not matter to the authorities. Transport for over ninety of us from our village and a similar number from other local villages seemed to them to make some sense. Those of us starting huddled together for safety at first, if there was one surprising thing I noticed on meeting up with my friends it was that none of them were wearing the uniform that had been requested, eventually one other friend turned up with a correct blazer. I had been worried about been teased for having the correct uniform, my friend with the blazer took all the teasing as he was still in shorts, there had been the intention for him to have long trousers but he told us that they had not arrived in time. On talking to my friends the general thoughts on school uniform were that it was a luxury that their parents did not want to fork out for, their only contribution it seemed was for long trousers. The two coaches arrived, with us been new the pupils that had previously attended the school took their normal places, those in the last year now bagged the empty rear seats that had become vacant by the previous years leavers. If there was one part of dreading attending this school it was coach travel, ordinary bus travel is fine, I can travel for any length of journey, coach travel however is totally different, it is the more enclosed feeling or the softer ride. Travel sickness often was a result, throwing up on this first ride to school was something I was dreading. There had been the instruction that the coach we went on would be the one we would always travel on, more of us got on the first coach for fear of getting left behind, many of us sat three to a double seat, but the fifteen minute journey to the school would soon be over. Eventually we arrived at the school; the coach dropped us close to the gate so within moments we were at our new school with no way back. To return to our village we needed to catch the school coach back at the end of the day, the location of the village meant that there was no public transport directly to our village for most parents if they wanted to come to our school and did not have a car, it would mean a fifteen mile or so journey and a couple of changes of buses taking around an hour or so. All of us that were new to the school stuck in one group; eventually we were ushered inside and together with other new pupils were grouped in one area. For most of my friends attending a school of this size was awe-inspiring, but compared with the London school I had attended there was nothing odd about the numbers. An assembly was the main event, several of the teachers were on a stage facing us from a good viewing height and other teachers were positioned at the ends of our rows to keep order. If there were comments from some of my friends it was that they had never seen a headmaster with a gown on before. Finally assembly was over, all of us that were new were kept back to be allocated to our various forms. I was quite used to the word form, most of my friends were confused until they realised it was simply a more grown up name for the word class. House colours completely fooled them; the school was divided into four houses for sporting activities. If the teachers confused many it was allocating each of us a house rather than our form first. Once we knew our house name we could then purchase the correct colour games shirt, allocated the St Patrick house I would need my mother to get a green shirt. The allocation of forms it seemed was by results that had been passed to the school from the various primary schools we had attended. My name together with a few other pupils did not appear to be on any of the lists, there was just a thought of horror in my mind that perhaps I was at the wrong school, but knowing that I had not passed an eleven plus exam that was still in use in this area and that the grammar school was not where I should be, simply coming from the village meant that this must be the correct school. Eventually it was found out that I had joined the primary at the very end of term, the results of achievements had already been forwarded to this school before my arrival. There was a choice of three streams according to ability that we could be placed into; to make things more complicated one of the streams had a parallel form simply due to numbers. With the teachers having no idea how bright the last few of us stragglers were. A short oral test of a few questions on general knowledge was now given to each of us. This perhaps was the worst way of testing us for ability, it appeared that I did quite well out of the group, it might have been that the others were simply a little fearful of their new surroundings or were more used to sitting down with pen and paper to give answers. That my handwriting was not examined at this point, resulted in me been allocated into the 'A' stream, having known my results in our group at my last school the 'B' or the 'C' stream were nearer my mark. The staff wanted us to be sorted out as soon as possible. On joining the 'A' form I did find a few of my friends were there from our village, we took up about a third of the form so we were not really a minority. Our teacher it was the headmaster's wife so it was easy to understand that we were at this school to work. Sorting out the register and who was having school meals took quite a lot of time, then the school rules were explained to us followed by a quick tour of the school. The school was designed on two floors, a extension had been built a few years after the main building, this resulted in a slightly odd shaped school of two sides with corridors that seemed to end in mid point as if the designers had simply decided to build the next section of the school in a different direction and in one part the ground floor was four feet higher, even though the ground outside appeared level. It was explained to us that for each lesson we had to go to a different room, to my friends it seemed totally strange that you did not stay in the same room all day. Another matter was pointed out to us, some forms had lockers others had desks in their main form rooms to keep their possessions. If we entered a room where there were desks we were not allowed to go through the possessions of the person whose desk we were sat at. If we happened to be unlucky it was that we were allocated a form room with desks for our possessions. The main warning was not to keep anything of value in our desks, other than school books no other item should really be in our form room. The morning break came; there was confusion from those pupils that had attended last year as what to do when morning break started. This apparently was the first day that school milk was abolished for senior schools. That all were meant to go straight outside when morning break started and not queue up for their milk. Our group from the village soon reformed, who was in which form was soon worked out, one of our friends had been allocated to a form where almost everyone was new to him, so he was quite unsettled. Our main concern was over the legendary duckings, but we seemed to be ignored by the older boys, eventually the bell rang and we returned to our own form rooms, the rest of the morning was spent designing a timetable and working out which room we should be at any particular time. The days we were to bring PE or games kit were also worked out, this it appeared was one of the most important items on our timetables. Finally the morning lessons ended, several of the local ones in our form were going home for their lunches, a few had sandwiches, these two groups left first. The few of us that were staying for school lunch were taken down to the main dining hall, small tables were arranged neatly in rows. In turn we were placed in groups of six at each table, with an older boy and girl, it appeared that they were in charge. This was where we would sit for each meal. From the various schools I had attended school lunches could resemble anything from total noise to absolute silence, here it appeared once grace had been said, talking was allowed. The two older ones on each table were in charge of allocating the food. Dinner ladies came around and gave each table a selection of small metal containers with the various vegetables and meat for the main course. Soon I found out that shares could be unfair, if you knew or were friends with those in charge you were given the best choice, a few of us were totally unknown to all, what was allocated on our plates was totally unappetising. Having experienced lunches in other schools, it appeared that this was the poorest selection I had come across, it might simply be a bad day, but I had a feeling that school lunches were not going to be a favourite here. At odd times staff on duty came around to see that we were eating everything on our plates, whilst it was found that you might be a little short on the items that were favourites it seemed that certain items that were disliked were heaped on your plates simply to empty the containers that had been allocated to each table. The sweet fared little better, shares were totally unfair. If there was one slightly revolting matter it was the beakers that we had for water, drinking during lunch was a simple necessity due the dryness of some of the food. The water in the jugs was slightly warm rather than cold, it was the beakers themselves that were the most off putting, made of a light weight coloured metal although they were clean, all around the lips of the beakers were the signs of teeth marks. Finally the meal was over and we were released into the playground until it was time for our afternoon lessons. Our reception committee of older boys was waiting just out of sight of the main building; we were taken in small groups to the outside lavatory and led inside. Due to the poor design of the school there were numerous areas that were always out of sight to the adults, none of us struggled, we were given a warning that if we made any fuss it would be the bog rather than the sink that our heads were going in. The event was soon over and we were released to meet our friends that had already been dealt with, and to encourage any of those with dry hair to go in the direction of the lavatory to get it over. Once we had all been ducked it appeared that there had been little really to be fearful of, we were now members of the school. The afternoon was spent sorting out books that we would need for various lessons and explaining more of the school rules and what was expected of us. An afternoon break shortened the rather boring ritual on new school books that I seemed to have already gone through several times; to most of my friends everything was new and interesting. Finally the bell went to signal the end of school for today and we were released. The group from our village soon formed up where the coaches to take us back would stop, finding that there were spaces on the second coach a few of us now found new permanent positions with just two to a double seat, for me getting close to the front was the most important matter. The trip back to the village seemed to take no time whatsoever, if we were excited it was to return to our homes and tell about the events of the day. I was happy, the school seemed to have enough to keep me interested, and I might be able to make a few more friends that were not so keen on football or fighting. If there was one thing to remember it was that the following day we were due for a games lesson in the afternoon so game kit was needed by all. The following school day seemed to be less of an ordeal for most than their first day. I now found that as we were no longer regarded as new pupils a little more bullying appeared on the scene. Any first year that was smaller or looked weaker than the majority seemed to be picked on by the older ones simply for sport, although I was tall and rather skinny I was not singled out simply to fight for fun, my appearance was not something that many of the older boys had encountered, I appeared was fair game for torture. Had I gone to a London senior school there would never have been a problem over my colour, here my light tanned completion was something few had met, as I did not have a local accent I was simply taken to be foreign of some sort, trying to convince them that I was English and had been born in London was impossible. If life in this locality was rather restricted it was that none of the other boys had seen anyone with a tan, at the cinema there might be a coloured person in American films, this seemed the only place where they were to be seen. If colour televisions had been in most households then perhaps I might not have seemed to be so different. There was disappointment at lunchtime, the food served today was the same quality as yesterday, rumours that the meat pie was yesterday's uneaten meat in a different disguise could not be ruled out. Afternoon sports were not something I was looking forward to. Half of the first year was assembled on the field in the kit we possessed. Had admitted not to having any football boots I would not have been put in the football match, those who were good at football but did not possess boots were sent to run round the playing field, I would have gladly changed places. By half time a few of us were weeded out by the games teacher to be kept as reserves if necessary, if there was any hope in my mind it was that there should be enough that were fit and keen to make up two teams in any games lesson. Near the end of the lesson we were sent to shower and change, this was the first group shower for most of my friends and was something totally new, many had never stripped off completely in front of others before. The games teacher was keen to see that all went into the shower and all were fully soaked, if there was any encouragement it was that anyone not getting into the shower would be given the cane. With our various sizes and stages of development it was possible that a few of my friends were embarrassed over how little they had grown. Having been used to both the boarding school and at the Home to be naked in groups, stripping off now was nothing strange, I did not really shown any reluctance and was an early contender for the shower. There was one boy who seemed to be slightly ridiculed and examined by the others as he went into the shower it was because he was Jewish. Until this moment I had not fully understood much about other religions, other than been involved in Christianity and the Methodist side during my stay at the Home other religions had not really mattered, whilst in London possibly I had noticed some slight persecution of other groups at school. I could see him been teased due to the religious practice that he had gone through due his beliefs. If there was one reality now, it was that I appeared to be the only other boy here that was also circumcised. I was teased now over my colour than that matter. Many of the other boys expected to see the area on me that was normally covered, to be the same colour as them, if they had any thoughts it was from getting suntanned themselves, there were parts of their bodies that remained totally white. Why I should be the same light tanned shade all over was something they could not work out, but it was something to tease me over. Life at this school was starting to not be that much fun, if there was something that caused a temporary halt to my ordeal it was the games teacher moving the last few reluctant ones into the shower, those of us that had been first in were now moved out to dry off. The one slight matter that might cause embarrassment, was that both my legs still showed the marks of the cane I had received at the junior school over a year ago, the marks just did not seem to fade away. I always tried to wear long socks so that nothing was ever seen. There was a limit to the amount of teasing or bullying I could take before problems started, the episode during our first shower had been near to that limit. If I ever felt anger or hurt it was difficult to tell, that I might get into a rage the outcome was normally trouble. From that point on, I tried to get out of taking a shower at school; on the days that a shower had to be taken I was in and out as quick as possible. Over the next few weeks many ordeals over my looks took place, breaks had me running for my life on most occasions, the large size of the school meant that there were plenty of areas where although it was not really possible to hide completely, bullies simply could not be bothered to follow you over to the far end of the playing field or to chase you from one playground to another. It was not the case that I was always the persecuted one, at times those of my own age and in several cases were my friends could find that I suddenly went into a rage. One friend from the village had upset me over some minor matter, I soon found myself with my hands around his neck pinning him to the playground. He was not really injured, but the bright red shade he went after a few seconds was as far as it was possible to go before something serious happened. The one event that I always looked forward to was the school library opening for a short period on several lunch time breaks each week. Safety for others and myself occurred when I was able to visit, if only the library had been availably at all moments when lessons were not taking place, life at the school could have been less eventful. There was never a case of simply been a swot, but the senior school could have given me the chance to get on if I had been allowed a little leeway over various rules. Minor amounts of trouble we could get into was rewarded with extra work this added to the homework I was set most nights, meant that the following day when the work that I had done at home was inspected there were normally complaints over my poor handwriting. Trying to do written work at home was difficult, the only flat surface was the kitchen table, this in the evening might be needed for laundry or a host of other matters that seemed to me to need my quick departure, going up to my room where I could have had some peace was simply impossible due to the cold. The attic was never really designed for living in, drafts seemed to come from every direction, it was impossible to heat in any way due to its cramped and flammable nature, only when you were in bed was it possible to get warm, a glass of water put on the large inner window sill was frozen solid by the morning. Holiday time in the village was even more boring than the rest of the year, to me there seemed so few things to do. A holiday away from the village might be possible with the NCH organising two weeks of my summer holiday. The majority of my friends seemed to be going with their parents to a wide range of locations, some were going to the seaside, one was going camping and a couple of the really lucky ones were travelling abroad. When I left the Home, if I had been asked, 'Would you like to spend two weeks of your holiday in a Children's Home?' The answer would have been a definite No. This offer of a holiday was phrased in a slightly more attractive format, but it was still in reality that my life for two weeks was to be in a Children's Home. Life in the village must have been so boring for me to have accepted within a short time. On meeting up with the group that were going on the holiday, it was easy to see that we were quite a mixed assortment between eight and twelve years of age. There was an odd feeling when we did move into the Home, it was the thought of was this really going to be a holiday for two weeks, or was it a way of getting us back into care with little protest from us? All the property and general things of the children that apparently lived there was missing, we were only going to be here for two weeks, but it seemed as if they had gone and would not be coming back, as there was nothing personal of their possessions to be seen around the Home. The adults tried to reassure us that the regular residents would want the place back in two weeks time, we accepted this but it made us a little uncertain as to were we just here for two weeks. All of us had been various Homes so we all knew how we should act. However this was our holiday, we were going to have fun. On our arrival we had been given a short lecture over the various rules we needed to follow and that if we misbehaved even if this was our holiday, we would be punished with either the cane or plimsoll, any of us that were nine or over would be receiving the cane for any problems of bad behaviour. With memories of the slipper from the Houseparent on the last holiday I had with them, I could guess that as I was older the punishments might be worse, all of us having been in their care knew these were not normally just threats. The staff had worked out who was going to sleep with who in the various bedrooms, we might have wanted to change the ideas, but they were quite firm. They had the idea that older ones would be able to keep an eye on younger ones. In a way this prevented total anarchy, if all us older few had been allowed to go into one room, they had a good idea if an older one was up to no good, a younger one could be relied on to tell tales. I was quite pleased with the two boys in my room, they were a little younger than me, but both wanted to see how much fun could be allowed, before the staff started to punish us or give poor reports to our parents. The early evening had us in high spirits if rather confused on the layout of the building. The room I was in was at the very end of the building that was over what once must have been a garage and had now been turned into a laundry room and ironing room. The three of us had been told not to be scared if in the middle of night if we heard rumblings it was either the washing machine or the boiler firing up. Our room was equipped with a trap door, in the case of a fire we would be able to exit our room if the narrow corridor that lead to our room was blocked. In the normal way this room appeared to be used as the sick room rather than an ordinary bedroom as it allowed anyone that was ill total quiet from the rest children in the building. In a cupboard in our room there were extra clean sheets and blankets if we needed them, it was hinted that it was hoped we still knew how to fully make our beds in the morning. The other interesting area just outside our room it was a concealed cupboard that ran the length of the passageway in a roof space. We had been told that any clothing or sheets that needed to be washed were to be put down the trap door, then later go downstairs and put the items into the main laundry area, the other rooms had small laundry baskets in their rooms to put their dirty things in. The benefit to our room, it was that we did not have to share the main bathrooms that were for the other boys and girls. We had our own washroom and bath close to our room, the only problem was that this was in between two staff bedrooms so there would be little opportunity for any fun, for a lavatory it was a walk to the far end of the corridor to share the main boys' lavatory. Eventually the staff managed to get various groups off to bed, today it was easier to get us to bed in room groups rather than by age. Our advantage was that our odd room was left until last. There was jealousy from the others that we were not been hurried off to our rooms, if there was a threat from the other boys it was for fun, it was that they would get revenge for us having such a privilege. The staff knowing how much of a nuisance the two rooms of boys could be, sent them off first before even turning any attention to the girls. Our eventual turn came much later. When it came to us going to bed we found some of the boys had got their revenge, someone had managed to sneak into our room. As it was mid summer the three of us had each been given a glass of water on our side tables for if we felt thirsty in the night, this was down to the water in our bathroom was not fit enough to drink. When we had unpacked our cases and left the room the glasses had been full, now they were empty. The mischief had only taken a few minutes, the contents of the glasses was now in each of our beds. The staff were tired of us all after a full day of collecting us all and settling us in. As it was almost ten o''clock we were persuaded that the damp patch in our beds was not too bad, if we lay at one side of the bed there would not be any discomfort, a joke was made by the staff member, that it was something we might be quite use to. Having to see that we made up our beds with dry sheets at this time of night was not something he wanted to do unless we were very upset over the matter. We were just happy that he believed it was some of the boys from another room, rather than just the three of us playing about in this room. With our earlier lecture of what we should expect, had we been thought of as doing such a deed, receiving the cane would have easily have happened. The three of us could see it was not worth causing trouble, the adults having got the other two boys rooms settled were not going to bother asking questions tonight as to who was responsible. Bed making was a chore we did not want to do at this time of night. We settled down in our beds and the lights were turned off, if we had wanted to cause problems we could have told the staff we felt thirsty, but that might be the final breaking point. This was our holiday; there were still twelve days of punishments available and our beds were not too uncomfortable with the dampness. When the lights were out we were meant to be silent and quiet, with our room so isolated from the others we were able to talk without the risk of a telling off. As long as the member of staff was around in the morning to tell the other staff, that a glass of water had been put in our beds by the other boys there should not be the risk of a caning for us over wetting each others bed through mucking about with the drinking water. As each of us had a rubber sheet on top of the mattress no real damage had been done. All of us finally were asleep, in the normal way I was always an early riser, with our late night the three of us had to be woken up. We appeared to be responsible enough once woken up for us to get out of bed and go for our wash. Allowed to get up on our own was a blessing, as all three of us got out of bed at the same time there was evidence that our beds seemed much damper than the night before. There was no shame, it was just hysterics and fun between us, it might have been just our reactions during the nights in lying on a damp sheet that we wet our beds, but each of us could have had the inkling that although we would not admit to doing it on purpose, we did not do anything to prevent wetting the bed. It was almost a year since I had last wet the bed. There was slight fear of what the staff would say, whilst they could ignore the slight dampness from a glass of water soaking our sheets, there might not be any forgiveness over our sheets now. We swore ourselves to secrecy over the matter and admitted that whilst we had been in care we had each had some wet beds. We all knew that they would be keeping a note of any problems, ready to report to our parents at the end of the holiday. The evidence of our sheets and pyjamas now vanished down the trap door, and our beds remade with clean sheets before any of the boys from the other rooms visited us. The bonus was that none of us had to travel the length of the corridor to the lavatory. As the bathroom had a shower, we all used that rather than bothering to fill a bath each. This bathroom was also used by the adults so we had to leave it neat after use. As we dressed we were planning revenge, our only need was to find out which of the rooms was responsible. They were bound to soon boast about getting us, they would have to suffer to in some way. During breakfast we were all in good moods, various members of staff were also eating breakfast with us to keep some form of table manners under control. In rather loud voices so that the whole table would hear, there was a question from a few of the other boys directed to us. As to, did all three of you wet your beds last night? We might be narrowing down the culprits, as none of them had seen us since last night we knew they had either the details of the prank, or had been to the laundry room and found our wet sheets. Staff that had not yet been told about the deeds of the mischief makers, now came to what they thought was our rescue and explained that some of us might be unsettled at returning to such a group, there was no problem if we wet the bed, as this was a holiday such events didn't matter. Most of the table must have been unaware of the original event and were now sympathetic to the three of us. It was four boys now laughing at us, that they could not understand. It was a little embarrassing for the three of us, that now most at the breakfast table thought we had been put in our own single room for that very reason so as not to be teased by the others over bedwetting. The staff having more important matters on the events of today now brought more interesting attention to everyone on what would we like to do today. With breakfast over, a few boys came up, they were a little sorry that their joke had not been explained to the rest at breakfast. They were happy that we had not told on them and none of the staff had punished them with the cane. We did not let on that at least one of the staff already knew about the trick that had been played on us, in our minds it was best to let them think we had admitted to wetting our beds rather than getting them into trouble. An apology made things a little better; we had in our minds though if there was to be any fun and we needed victims we had an easy short list forming. The day went off quite happily, we were informed as to all the trips and events that were planned, most would occur as to the weather, this Home was really just the base for us to work from, and the confinement of its grounds was not really going to apply during this holiday. In the evening a more organised assortment of bedtimes according to age was sorted out, our room could not be visited by the other boys without us knowing. 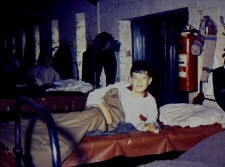 There was not really much difference in bed times for us due to age, we were sent off quite early, simply down to having our own wash room to use. Our three glasses of water were full to the brim. We thought of a way we could cause some trouble. If our beds were soaked for a second night then the staff were bound punish the other boys for this repeat nusance, even if they were actually innocent. It would be just revenge for the embarrassment we had been made us to feel at breakfast today, we wondered if we would be able to hear the four getting the cane. Pouring the glass of water in our own beds seemed a bit drastic, but it was the only way to prove to the staff that there had been a repeat of the events from last night. Eventually a member of staff came round to see that were in bed, she had not been told of the prank that was played on us last night, so took little notice that the glasses were empty, all she had known was that we were teased at breakfast time over our bedwetting. We did not have the chance to explain that our beds were already were wet again tonight. She was sorry that we all had night time accidents, we might be a little upset about to a children's home, during the night it did not matter if we did wet the bed . If we were teased by the others we should tell the staff, but if we did not let the other boys know of our problem, they could not really tease us. Sympathy from staff at the Home was a very rare thing to receive, all three of us now played up to her. If we were good and made our beds with clean sheets from the linen cupboard each morning, she would see that we had an extra reward of sweets each day. Finally we were left alone; all of us wished that we had been looked after this way in the various Homes we had been in. That there was a possible reward for bad behaviour was certainly odd. We were not as tired as last night; we simply spent most of the evening chatting. Now we were friends we were able to talk about our time in care. The sweets the following day were given to us without any telling off over our wet beds, that we made up our own beds seemed the important matter. During the holiday we repeated our actions each night, but never all at one time, each of us having several wet beds during the two week holiday. Some of the time we had done it intentionally, but I knew I was not alone, and that some of the nights our beds had become wet due to our fear of returning to a Children's Home. There was still the odd thought in our minds, that at the end of this two week holiday, were we really going back to our parents, or would some reason be announced as to why we were to remain here. The chance of the rewards of sweets gave ideal cover for our fears, although during the day we were happy to be in the Home. We were rewarded with extra sweets each morning, all we had to do was then share out the rewards between ourselves. The other boys never knew about our rewards we were receiving, had they ever found out, either our lives would have been a misery or there would have been a large number of sheets to wash each day. Other than a couple of the staff enquiring if we were all right, there was never any telling off or punishments from any of the staff. A special group of three formed and we would stick up for each other during the odd battles during our free time. There was one point that a few of us risked punishment during an unofficial bonfire that we organised at the lower end of the wood. Matches had been banned from our possession for just that reason. I had arrived when the fire had just been lit, so I did not know who had actually started the fire. Most of the surrounding woods and grass were quite damp. The mornings outing had been cancelled due to the poor weather; however we had been promised we would be taken out after lunch, there were just a rather boring couple of hours to use up before it was time for lunch. Attracted by the plume of smoke, most of the boys and a couple of girls arrived at the location; our numbers were simply limited to those that had raincoats and wellingtons. The smoke was not really serious, it was simply a nuisance. The staff realised that suddenly most of us had disappeared, it was for this reason one of them came out to see what we were up to. I think we caused more annoyance by the muddy route that had to be taken to find us. There was the instruction given to put the fire out, this was quite easy to do, most of the branches had just been smouldering, even if we had left them they would have gone out on their own. The main part of the fire had been a dry newspaper that had long ago burnt away. All of us were now taken back to the main path where it was easier to find the culprits; with experience the youngest were asked who started the fire, almost guaranteed to blab they honestly said that the fire was alight when they arrived. The youngest boys and the girls were sent off to get ready for lunch. The remaining six older boys were now questioned further as to who had started the fire. There was not a vast difference in ages but as one of the eldest I was expected to have set a good example and not done such a risky act. All I could say was that I had arrived when the fire was alight and did not know who had actually started it, now together with the second eldest who equally was innocent of any real wrong doing we seemed to be blamed for not taking control of the matter and putting the fire out. I could imagine how unpopular we would have been with our friends if we had done such an act. It was easy to tell that there was a punishment looming; in a couple of our minds it seemed probable that as were all older, the cane would be used. Taken inside we tried to delay the event by first causing a delay in hanging up our coats, then finding it necessary to go and wash the mud from our wellingtons before we put them away. Out of the site of the adults we just tried to think of any possible idea of how to get out of the cane that we would be getting, the staff having sent the younger ones away, left only us older ones. It was now just counting down the seconds left. We were in luck when the call for lunch came at the point we were giving our hands a final wash, there was no time for any punishment to be given. During the meal there was a lecture about our silly behaviour, if a few of us remained rather quiet during the meal it was with the slight fear of what was coming at the end of the meal. The staff realised that we had learnt our lesson when at the end of the meal they extracted a believable promise from us not to doing stupid acts, we were let off with a warning. Had we been caned as a group the holiday would have been ruined, some of us had not really done anything wrong, but we knew that with many canings, innocent boys would often be punished too. The staff might have expected the eldest of us should show an example. In our minds, if it was keeping friends with the rest of the boys or getting punished, then both of us would have chosen the punishment route rather than loosing our friends for a two week period. For most of the holiday our free time was well supervised. There was only one point that the holiday returned to a similar style to going back to living in the Home. Two of us were caught fighting; a minor squabble had turned a little rough. If we had stayed away from the main building then the adults would not have known about the fight. That we took our squabble indoors and continued the argument, allowed the staff to remove us to a quiet room away from the rest of the group. I was slightly older than my opponent by a few months, it might have seemed at first that I could have been labelled a bully as I was twelve and my opponent was only eleven. The member of the staff however thought of us as equals and we were going to be punished that way, as after questioning neither of would admit to striking the first blow and neither would blame the other for starting the fight. We were not actually given the choice over punishment, but we could have selected a non physical style. If we wanted to continue to be part of the group and go on the outings and be allowed to play outside, then our punishments would relate to our age. If we did not think we could behave then we would stay under their supervision whilst the others went on outings. With only half the holiday gone, not going with the others seemed a rather boring way of spending the rest of the holiday. Our reply was that we could behave and not get into any more trouble. The pair of us were taken to a study at the back of the building. A little more of a telling off and warning was given, then the punishment of a single stroke of the cane was given on each hand. We were now told it was up to us if we boasted to the others about our punishment, but it might be best if we took it that the punishment was now over and finished with and not try to be thought each as a hero for taking the cane as punishment. By school standards each blow was not as heavy as it could have been, but it was hard enough for each of us to be slightly tearful and willing to promise that we would be good for the rest of the holiday. Taken back to the empty dining room we were told that it might be best to stay here until the rest came in for supper rather than going outside to cause any more of a nuisance. Our fight was stupid and it had been our own fault, we had been friends and we still were friends, it was just that adults did not understand that we might fall out for short periods. Left alone neither of us blamed each other over the matter. If the was one odd result, it was that for the rest of the holiday we became closer in the activities. Neither of us mentioned to any of the others over getting the cane, as we were friends it just seemed a silly thing to admit been punished for. The punishment had been upsetting, although I was not in tears at night over returning to such matters, I started to wet my bed over the caning. The other two in my room thought it was just to gain the extra sweets, but to me I had been upset over receiving the cane, and that was causing my wet beds. I soon found out that I was not the only one to suffer a wet bed after the caning. Whilst out at play, my friend was teased over wetting his bed, none of the others knew he had been caned. In his room there had not yet been any other accidents during the night. He was upset, and wished he did not have to stay in his room. Knowing that we had been teased on the first morning for not really wetting the bed, he wondered if he could move into our room. The pair of us went to see the Sister that had given us the cane. He explained that he was teased for wetting the bed and could he move into the room I was in. At first the Sister thought that as we had been caught fighting, we might be up to something, but eventually gave her permission. My friend didn't have to actually move his bed, a spare bed was found in the side storage rooms and set up in our small room, there was enough space for it not to get in the way. Whilst the main groups were out at play, under the supervision we moved his blankets and mattress. There was a joke between us that he already had a rubber sheet on his bed. The others eventually tackled him over leaving their bedroom, he gave them the excuse that if they kept teasing him, he would tell Sister. Knowing how close we had come to punishments over the fire, they left him alone, he was slightly shunned, but found two new friends in his new room. Once we had settled down in bed, we made him promise that he would not tell the others if we wet the bed, and we would not tell on him. We explained the system that we had of dropping our wet sheets down to the laundry below, and later moving them to the laundry area with out the others knowing. Mentioning that we got a reward if we made up our beds with fresh sheets and had the private bathroom close to our room. His main question was how often did we wet our beds, the reply of most nights, seemed to be a great idea. The pair of us experiencing the cane had been upsetting, Sister might have been told about his bedwetting since the punishment and realised that as this was our holiday, it might have upset him. Various wet beds between us for the rest of the holiday was made better by the rewards of sweets. We did see a couple of other boys in tears come from the office, we guessed that they had been given the slipper or caned, but as they went off in a hurry, we knew that they did not want to talk about the event. Over the next few days when we went to sort out our sheets in the laundry, we found there were a couple of extra lower sheets and pyjamas, it was an easy guess to who they had come from. This was our holiday, a caning was really upsetting, but not allowed to go with the others or to be returned home would have been worse. We did not mention it to any of our friends, nothing was mentioned by the two boys over what had happened, they must have not want anything more to spoil the holiday. The two weeks of the holiday went quite quickly, it seemed in no time that I would be returning home. On the final day of our holiday we were settled down and asked to let them know what we liked and disliked about our holidays. This would give them some ideas for future holidays over what we could do. We were expected just to list a few things, the task soon done we were allowed to go off and play. On my list I put down the various places we had been taken too and the organised events as my favourite parts of the holidays, for the dislikes I wrote punishments and girls, so many of the events we had been on had to be made easy for the girls to take part in. Finally back in the village I met up with my friends, I explained my time away by saying that I had been on holiday with a school I use to attend, it was an explanation that caused no further questions to be asked. Shortly after returning to the village the Child Care Officer came to see us to see how the holiday had gone. For a while I was seen on my own. We discussed the ''minor night time problems'' as she put it, that had happened during the holiday and the reason why they had occurred. I had told her it was over my fear of returning into the Home, and that some of us had started to wet the bed after we were given the cane. As the reports from the staff had been good and that I seemed to have enjoyed myself during the holiday, she seemed to understand that the problems at night mattered little to me. The punishment during the holiday was never mentioned during our talk, so I did not think she had ever been told about our fight and that I was caned by one of the staff. After a time she wanted to have a chat with my mother without me around. I disappeared for a short while. Eventually I was called down, just to say goodbye. Once she had left, my mother told me that it appeared that I had been generally good and behaved myself during the holiday, and there was no bad comments about me from the staff. The Child Care Officer had told her that I would be invited to go again next year if I wanted to. My mother now questioned me as to had I been really happy; I could guess that something had been said about the night events. I simply told my mother that there had been a few upsets, and I thought it was down to sharing a room in a Children''s Home again. The explanation seemed to be accepted, my mother thought that I would not have to go back into the Home to live, as I seemed to have settled here. With the knowledge now that I would not be put back in the Home, it ended any fear I had of returning to the Home until the following year. The next year there was another holiday run by the NCH. Again to the same location, but with a completly different group of children who had been in the care of the NCH. We were given a lecture on arrival, the one difference this year was that nothing was mentioned about any punishments. I was allocated the same bedroom again. I soon found out that the other two boys still had regular night problems, before we settled in for our first night one of the Sisters came in and talked the matter over with us. We were told that we had been given this room so we would not be teased by the other boys over our bedwetting, and that there were no problems if we did have accidents. There would not be any punishments and the other boys would not be told. The Sister said as I was here last year, I should be able to tell the others what to do with our sheets, and that we could use the bathroom near our room in the morning for a quick bath or shower. Once she had gone, I explaned to the other two how we had been teased by the other boys after they had played a trick on us, and how we were rewarded by the staff over any accidents we had during the night if we made up our own beds the following day, and that we did cause several extra wet beds, just to gain extra sweets. This year there were several accidents, for me it was partly down to the fear of night in a Children's Home. If we needed to use the toilet at night, it was still a long treck along the coridor, we could have tried to wait until the following morning, but with no punishments or teasing from the others we just wet our beds. This year there were no rewards for us looking after our damp sheets as the member of staff that had given us the sweets was not here this year. The girls took revenge on all the boy's beds by remaking them as ''Apple Pie'' beds. When we found that our beds had been got at, there was not the need to remake them the correct way, we simply pulled the sheets and bedclothes apart and slept with them just draped across our beds. There was one activity that I had always longed to take part in it was a secret midnight feast. After a few days we had hidden enough food for a party to take place at an appropriate time. The layout of the building meant that the bedroom I was sharing with two other boys was not located with the rest of the rooms. We would have to be extra quiet when we joined the others. The disappointment it was over the timing of the feast, it had been agreed that at the appointed hour one of the others would come to tell us the coast was clear. The three of us were awake at the correct time and waited endlessly for our visit, we knew if we did not get the visit that the adults must be around. Eventually we became bored with the wait and simply had a midnight feast on our own, at a later point if we did get to the others room we might get some more food from them. Sleep soon came to us, the following day the others asked us why we did not come to their feast? Although it had meant to be at midnight they had all gone to sleep and only had their feast shortly before dawn. The holiday was fun, although there were a few minor squabbles during the two week holiday, we all parted on good terms and if the opportunity came the following year, we would all want to join up again. The following year there was another opportunity to go on a holiday organised by the NCH. I was told that one of the boys that I had been friends the previous year with was going. It was quite easy to agree to go again. We would be going to a different Home, but its location was quite near to last year''s location, so there would be new things to do. I met the group at the station, the friend that had planned to go, had dropped out at the last minute. For some night memories in care or on holiday would be enough to put you off the holiday. When we met up there were two boys that had been in other flats at Highfield, they seemed to be pleased to find someone else from our Home. Although I was not the oldest, I towered above all who were of the same age. For the rest of our group only one of the boys from last year was here, and two that I had met on the first holiday. To the staff there seemed the need to keep us well apart, as it was thought we did not really get on, in reality we had been good friends and at meeting again formed our friendship instantly. Even with them knowing about the glass of water going into my bed, they did not mind when I said the following night we had tried to get them all into trouble and caned. A truce was declared between us, there were plenty of new victims to have fun with. When it came to our bedrooms, I was put with two boys in one of the smaller rooms away from the main group of boys. When we unpacked our cases and started to make our beds, a staff member brought in three rubber sheets, we were now questiond to did we still wet our beds? The other two stayed silent, attention was now given to me, the staff member announcing that he knew of my problem on the previous holidays, and that it was best if I put one on top of the mattress. I was rather embarrassed in front of the other two, and the only one given a rubber sheet, the two other rubber sheets were put into one of the drawers. Thankfully they did not tease me when we first made up our beds, but I wondered if they would tell the other boys that I needed a waterproof sheet on top of my mattress. At night there was an interruption with one of the boys waking me up and telling me he needed to go for a pee, all I did was tell him to go off on his own and then went off to sleep again, not wanting to go with him on the long walk to the lavatory for a second time that night. The walk to the lavatory earlier was not something I had been afraid of, but in the dark and in an unknown building it did feel a little odd, I had wondered if I should try and wait until morning, but with the teasing I would get from them over wetting the bed, I made the effort to go down to the lavatory. In the morning, two of us were wide awake and soon up and out of our room for our morning wash, as we were heading back from the bathroom our third member was just starting out. The second morning again saw two of us out of bed and away, the other boy was a bit slow in getting up, we witnessed one of the staff heading to our room to hurry him along. It was on our return that we found there had been a problem. His bed had been stripped, the lower sheet had both a fresh wet patch and the evidence of a previous stain. We both looked at his mattress; there was a major sign of wetting soaking it through to the other side. We started to dress taking as long as possible in an effort to wait for his return. He was escorted back to our room, the member of staff seemed to realise that he had not said anything about a previous accident. There was now a telling off followed by two very light hits on the rear with one of his slippers, which was done more for show than to cause pain. There were no tears which proved the slipper had been given without any force. His telling off in front of us, was more for not asking for a rubber sheet and not reporting the first accident, rather than wetting the bed. With the two of us were fully dressed, we were now given the instruction to take his mattress downstairs and put it in the sun to dry out. As we were carrying the mattress down, we met up with the other boys. At first we were accused that one of us had wet the bed, we firmly put the blame on our room mate, and told the he had just been given the slipper, which was a little unfair but actually true, we did not want to be teased over such an event. Breakfast eventually started, as our room mate appeared it could be seen that whispering was going on around the table, all soon knew he had been slippered. As the first one to be slippered since we had arrived, he was held in high esteem by the rest of the boys rather than teased over wetting his bed during the night. That night the other two beds had rubber sheets fixed on to them. Two of us still went for the very long walk to the lavatory in the middle of the night, as there might be the slipper for wetting the bed, this overuled any fear we had of the long dark corridors to the lavatory. We did not really make any fun of our room mate as he took the sheets off his bed the following morning, except for slightly teasing him that he should now hide his slippers. When the staff came to check our room, we found there were no punishments given for wetting the bed. Which to both of us was a disapointment, as he could have claimed a record for a slippering on two days in a row. When the member of staff had left us, the two of us agreed that we would not tell the others if he wet the bed and made him promise that he would not tell on us if either of us had accidents at night, we now decided that the long walks at night to the lavatory downstairs need not be made if we were not going to get the slipper. We might try to wait until morning if we needed a pee. Having a rubber sheet on top of my mattresses was not embarrassing now that all three of us had them. Going for morning baths as a trio was easy as we were always on our own first thing in the morning, before the others were woken up. If anyone had ever designed a bathroom for children, this Home had it as a great design. Originally there had been little idea that its future use would be a bathroom. When the building had been built around eighty years ago, this had been a stable block. It was located at the side of the main building. The design had changed only slightly by building up a couple of extra walls. The floor was still a block brick design that slightly sloped to a central drain area. If water from a bath ever was splashed over the side it drained away quite easily. With us always been quite regulated when we had been in the various Homes over bath times. We allowed ourselves to get a little carried away, even if a few of us were older and should have known how we should have behaved, leaving the bathroom as soaked as possible was our main aim. Once we had made sure the adults were not going to come in, actually jumping into the bath as a final act, did remove most of the water from the bath. If there was encouragement, it was always that there was one of us actually waiting to take a bath in the actual bath area to witness the fun. The staff allowed our fun to carry on, as there was no real damage we could cause, and if the last person made sure the bath was actually clean, some spilt water did not really matter. By the second evening we were told to wear our wellingtons to the bathroom if we had them, our slippers and plimsolls were leaving damp marks on the floor when we visited other parts of the building. The boys in one of the other rooms were threatened with a slippering if they opened the fire door again. Apparently they had opened the top fire door that had a staircase that ran down the outside of the building. This had been in the early evening, as they were unable to relock the door; it had remained in its partly open state all through the night. 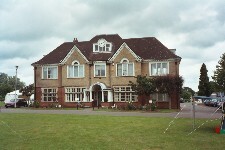 Staff were worried that people wandering in the grounds at night might have entered the house. The threat of the slipper kept the door closed for the rest of the holiday. During the holiday many of days activites were spent in trips away from the Home, the weather was not that great so several trips to the cinema and other locations were organised. A trip to the docks was interesting as it was at the same time as a dispute over dock working. Everthing was been done at a slow speed during the dispute by the workers. This was to our advantage as it was over the delays it caused to items been unloaded. Large amounts of bananas were too ripe now to bother with, whilst they were fine for eating over the next few days they would not last long enough to be sent to the shops. When we left the docks our van with us in it had every spare space occupied with boxes of bananas. Plenty of time was allowed on this holiday for time in the grounds of the Home, although our ages were still a little uneven, we were happy for most of the time. One of the activities was to go down to the coast and pick cockles. The staff possibly did not explain what cockles were to the majority, some might have even thought that they were some kind of fruit and you would pick them off trees or bushes. I knew exactly where they were to be found. Most of the older ones wore jeans and plimsolls, I joined in more with the younger ones and wore shorts, but had the sense unlike most, that as most of our time might be spent in cold seawater to wear my boots. We arrived at the beach, we were instructed that the first part of the fun, was the long walk at low tide to a far distant point on the horizon, where the cockles were to be found. A few lucky ones managed to cadge a lift on a small truck that was heading out, for the rest of us it was a long walk. Finally we were all ready with bags for our cockle picking session, there were moans it was that the weather was dull the water was cold and that most were already soaked..
That the beach was not all sand and many had sore feet from going bare foot, and finding the odd sharp piece of rock in the various shallow pools did not really help. When enough cockles were eventually harvested that would have fed a small army, the decision was made to return to the mini bus. Where the outward beach journey had been quite fast, the slow trail back had most moaning over the cold and dampness that had been suffered over collecting the cockles. The adults now needed to do a little explaining that these were actually food, and once cooked were nice to eat. Finally back at the Home, all were allowed to dry off and change, the adults set about cooking the cockles in the largest pan available. When it was the right time, everyone was presented with a plate of cockles. To most, perhaps I have odd tastes in food and cockles would be one of the more adult tastes I might like, I knew full well what cockles were, what they tasted like and the result I would soon feel after eating them. Having in the past tried them and realised that they just did not agree with me. Although it was not a refusal from me to try one, I left them well alone. Almost all the others were eager to try them, possibly it was a taste that none had experienced before. My only real though was of the actual feel of them in ones mouth; neither hard nor soft they just were not going to be for me. Most spat the object straight out, a few swallowed them and were on the point of been sick. We all left leaving the adults with the mound of uneaten cockles, within a short while the morning’s collection found its rightful place in the dustbin. This year the Home we were staying at was a few miles from the Home we had been in last year. The grounds of this Home were quite large with a good field for ball games and some interesting woods to play in. Two of us did recognise this Home, during our stay last year we had come here on a short visit so that one of the staff was able to pick up some items we needed. At the time we had not had any real time to explore, we had been given just a few minutes to stretch our legs and use up a little excess energy. On arrival here this year, the Home it did come up to our expectations of the fun the pair of us had imagined was possible. In normal life it could probably take twenty to thirty children, compared to Highfield, this placed seemed to be a nicer format for a Home. On our last night there was a final party. This seemed to start early afternoon and would continue until the last one of us finally flaked out. Dancing to the music from a record player and similar activities was never to me any fun. Early in the evening, I headed off to bed and was possibly the first one to give up on the nights activities. I knew that tomorrow I had to be ready and wide-awake for the journey back home. Whilst most of the others would be travelling in the mini bus and if tired could easily sleep through the return journey to London and surrounding areas. I was travelling on my own by train. If I went to sleep on my journey, it would cause endless problems if I did not get off at the right station. In the bedroom, everything was ready for tomorrow, after my wash, today’s clothes went into my case leaving just enough room for my last few items of pyjamas and dressing gown and washing things to be added. The clothes for tomorrow were put ready, whilst the others could get away with play clothes for their journeys, I needed to be smart and stay that way until I arrived home. I was quite happy getting into bed and going off to sleep without the other two; they would probably find it fun to wake me up when they came to bed later. It was not long before I had a visit from one of the staff, they could not see why I wanted to miss the fun of a party. Although the staff this year had been much more friendly and relaxed than last year, there was still the need to follow their instructions. This years holiday had really gone without any problems for me, so on the last night getting a report for disobedience was not something I wanted. With today’s play clothes somewhere in the middle of my case and only my best clothes and freshly polished shoes to wear, I was a little reluctant to come and rejoin the party. It took a little coaxing from the member of the staff, but I eventually rejoined the party in pyjamas and wearing my dressing gown and wellingtons as the only things that had not been packed ready for tomorrow. The party was not too boring; most of the time was spent in a chasing game that led out of the hall, in and out of the bathroom and along the passage that went to the kitchen and a door that allowed you out at the opposite side of the building. Eventually, they decided it was time for us to be heading in the direction of bed. With only the need to visit the lavatory I was soon back in bed and waiting for the pair to eventually arrive. At the end of the holiday the report that went back to my mother, was that I had been good and did not cause any problems. The NCH version of the holiday that appeared in the December issue of The NCH Family News magazine. The children were all either in NCH or local authority care under the Family Aid scheme. Sister Stephanie Hall, who was in charge of the party at Swansea, sent the following report to 'Family News'. The children came from a variety of backgrounds but their real need appeared to lie in the fact, that they required a holiday where they could relax away from family tensions, and, if possible, be given an opportunity to express some of the feelings brought about by such tensions. All staff were introduced to the children by name, explaining who they were, what they were doing prior to the holiday, and their ages. (It was agreed that the staff could be called by their first names rather than their normal titles). We explained that there were no fixed bed times, but the children could please themselves what time they went to bed, as long as it was before the staff. They would be told the night before what time breakfast would be, and if they did not wish to have breakfast they could remain in bed until the day's activities started. At first the children were very quiet about the house, but as they began to relax the house always seemed full of noisy chatter, and it must have been good for some of them to escape to their various rooms and places in the house and garden, where they could be on their own. Towards the end of the holiday, settling down in bed became almost a ritual, when the children would ask that all the staff went to their rooms to tuck them up, kiss them good-night, and chat. These 'chats' were the times when the children shared with us their fears at night, such as the dark and bedwetting; also their feelings about the tensions in their family lives. The staff were sensitive to these times, and it was felt that a large part of the benefit of this holiday was achieved at these times. At first, the staff who had had little experience of this kind of structure were themselves wary, looking for leadership and watching out for incidents or unruly behavior. They were able to discuss these things in the evening gathering of staff, and the way they co-operated at every possible level was outstanding. The children formed holiday relationships with the staff and each other, and there was a great deal of emotion shown at parting from each other on August 28th. There had been hope from the NCH, that once I had moved to Wiltshire, my mother would take me to a Child Guidance Clinic or a psychiatrist. My mother made no attempt, our isolated location with its poor transport and the need to look after my grandmother meant that there was little time to spare. The only day my mother had any free time was a Saturday afternoon, the various groups do not work on that day. Any matters were left to sort themselves out, other than a few minor bedwetting upsets shortly before I joined the senior school, and my ability to loose my temper and get into a few fights, there had been few other problems. To my mother it appeared that I had generally settled into my new location, I still might get upset at times, but I appeared far calmer than I had been during my time at the Home. There was little point in seeking any further help for me, as it might cause more problems than it could solve. Leaving the village seemed to happen as suddenly as previous moves. At this senior school I had completed three and a half years, when school restarted after Christmas there would be just a few months before I would be able to leave and go out to work. There were no plans over what I was to do, and it was still too early to really think about the matter, going to work in one of the local engineering companies in town would be the most probable. After my grandmother died, there was no real reason for my mother to stay with my aunt and uncle. The first few weeks my mother did a little more work in the shop, but it was clear that really my mother served little purpose by staying. My mother now had the opportunity that she had longed for the past seven years, of living at the seaside again. It was not a secret that my mother was thinking along those lines. Shortly before the Christmas holidays started I was told by my mother that in a few days it looked as if the pair of us would be moving to a seaside on the south coast. A letter was written to the school with the information that next week I would be leaving. As with most of my other moves I did not tell my friends of the plans for my leaving. They only found out as the headmaster had come into our form in the middle of a lesson to give me a letter to take to my next school. I later told my friends the reason of the headmaster''s interest in me. The handing in of my text books and clearing out of my locker was done the following day. Leaving the school and about to get on the coach, a few boys in the year below decided to tease me over my leaving. Comments about me getting sent back to the jungle and other taunts soon came my way. Using the words of ''getting sent away'' made me a little unhappy. This was my last day here; there seemed no reason to get into trouble by retaliating in any way. That I ignored the group only annoyed them, soon a couple came over to taunt and push me around. If I showed them cowardice it was by not trying to fight back. I was slightly taller but less well built than they were. Over the past year or so I had not put on much height, many of my form were catching up to me height wise. It took only a few punches from the boys in the form below to make my last day here totally miserable. Friends might have taken my upset to been unhappy at leaving the school. In my mind it was simply anger, if I had retaliated, I would have found it difficult to stop. As I would be leaving the area for good, if I had become enraged then problems might have occurred to spoil the plans we had of leaving. Our move once again made it necessary to go through my belongings and select only the items I really needed. With just two cases between us, there was a limited amount of items we could take to our new location. Other than clothes, my stamp collection took up most of the space in my case. Now that I was older I was possibly a little wiser over the items that might get left behind. The only way of keeping things like my thick trousers and riding boots was to wear them for the journey to our new location, any space in my case was reserved for my best clothes. For some reason my mother always managed to time our moving close to Christmas with all the chaos of people travelling on holiday. Although coach travel was something I had become use to with the trips to school, the long journey in the coach was not that much fun due to not been able to select where I would have liked to sit. At our new location we had a small flat at the end of the house. With our arrival late into the evening there were few impressions I could make of the building, it seemed much smaller than the house we had lived at on the Isle of Wight. Our sitting room was next to an outside entrance the building and to the kitchen. Two bedrooms plus a sitting room meant that for most of the time our lives could be kept separate from my mothers' employers. Whilst my mother was at work I was generally confined to the sitting room and bedroom in our flat, if there was one item in our flat I was pleased to see in our flat, it was a television set. That I would be able to watch television without the need to share the space equally with unpacked boxes of groceries was wonderful. The delight of television was short lived; almost as soon as the set was switched on it broke down. It appeared this set had been unused for a long period of time. The disappointment was that it was a few days before Christmas when all the best programmes and films came on. With my mother working for most of the day, life for a short while was rather boring unless I went outside. Within a short while I explored the area. Compared with village life, this location provided as interesting assortment of shops and activities as London had done. With the beach a fifteen minute walk away there was plenty to do. At the end of Christmas a replacement television set was provided, in a way the original set breaking down had been quite useful as the replacement was new and received the second BBC channel, something until now I had missed out on viewing. There was one embarrassing moment whilst I was in the flat, it was watching a television programme on a group of children that had been in a Home. The programme had been set at Highfield and it even went as far as using the actual location. Originally I hoped that I would have managed to watch the programme on my own, as it was early evening normally my mother would be working at this time. It just happened that tonight she was free and settled in to watch it with me. It must have been set at around the time I was there. From the way the Sister in charge looked after her flat, it was easy to see that it was one of the older Sisters, although the programme did not name the Sister it was based on and that I knew it was not the Sister that had looked after me, it was easy to work out that there were only about three other Sisters that it could be. My mother made various comments that life could not have been like that for us, when she visited the Home, we all seemed so happy. It was true when my mother did visit, all were on our best behaviour, any problems and we would know about it later. The only thing I could do was agree that perhaps a few things in the programme might not be correct, I did not bother mentioning that they were actually worse than was shown. There was one moment in the programme that brought full memories of living with Sister; a small boy was refused permission to visit the lavatory at night. There was regular bedwetting as a result. My mother commented that the Sister refusing to let a child visit the lavatory at night seemed odd; surely the Sister would not want to have to bother with dealing with a wet bed in the morning. My reply was that it was not the Sister that had to deal with a wet bed in the morning but us. Sister thought all of us should have visited the lavatory before going to bed, even if you had and needed to go a little later. Also that when the Houseparent took over, I had been given the slipper each time I wet the bed. My mother did not make any more comments of how happy we were at Highfield. Moving to a seaside town changed my outlook over what type of job I would do on leaving school. Had we stayed in Wiltshire I would have aimed at getting work in engineering, the only other opportunities were in farming. On starting at the new school the intention was to leave in a few months time, there might be a few other lines of work that could be possible now. Looking at the local businesses it might even work out that my hobby could become my employment. If I left in the next few months, I had been told that we would be the last pupils eligible to leave at fifteen, after this year all pupils would be required to stay on until sixteen. It might give us a slight advantage for two years as there would be no other school leavers on the jobs market, however those leaving after us would all have sat exams and they would possess exam certificates. If future years if an employer were presented with someone with qualifications and another without, generally it would be the one with qualifications that was chosen. By the second day I had been persuaded to stay on for the additional year and see if it might be possible to gain some qualifications. This was a totally different idea to the school I had been at in Wiltshire, even if you were good at school many never stayed on for a fifth year. I was now moved from the lowest form in the year to the middle grade. The main problem I now found with my new school was that I was quite a way behind in certain subjects simply for not having done them before. In maths there was the choice of either traditional maths or modern maths, these were two totally separate styles of education, until now I had done a combined course, Traditional maths seemed the nearest to the lesson I was used to. English was now divided into two subjects, having again only had one syllabus it was a second lesson I was behind with. The sciences were also on a totally different in theme. Having been in a rural community Rural science had been a major subject, this was totally missing at this school, the other sciences I had done were General science and Biology, both of these were also not on the syllabus, I now found that it was Chemistry and a separate syllabus of physics that I had to get my mind round and needed to catch up on almost four years of work. In many cases almost four years of study had been a waste of time. Although I was in a middle stream, it appeared that homework was required; this was two hours of solid work per night, not like the occasional item that I had been use to, that in reality had been more of an option if you bothered to do it. There was still the slight problem over my colour and time was still wasted trying to keep away from a few bullies that wanted fun when there were no adults around. I only managed to let my temper get the best of me on one occasion, having my case of books thrown under one of the buildings I went to retrieve it. I was followed underneath by my tormenter; at some point whilst we were out of sight from the others he came too close, both of us emerged eventually slightly the worse for wear. I never had any further problems from him again, he might have explained to his friends over the state of his appearance that he was dealing with me rather than experiencing one of my temper problems. There was one totally annoying problem with the school it was that there were no lockers to keep our many books in, there were some desks in form rooms but these were not used to store books. All our possessions had to be carried to every lesson in brief cases, with many different lessons during the day the cases were simply a nuisance that you had to also bring them to school each day and take them home at the end of a school day was simply exhausting for those of us that had a couple of bus rides in each direction to make followed by a lengthy walk. In time I did settle down, the school was an all boys school, this seemed to be a much easier way of education as any lesson was simply aimed at a single group compared to a mixed school were often two separate lessons seemed to take place. The teachers were far stricter than the previous school; it was unusual that almost any teacher could wield the cane. Instead of the walk to the headmaster to receive the cane, you were sent out to bring the cane and the punishment book to the teacher. This was an odd system, it did have an advantage during one of the points I was found to have misbehaved, sent out to collect the items, it appeared they were already out at some other location in the school, on returning to the teacher to report the problem, extra work was simply set as my punishment, rather than to waste any more time over the matter. During moments when others were given the cane in front of us I was quite horrified at the state of the school cane, until this point at all the schools I have attended there was always a selection of canes available, for both style of punishment and a replacement when one broke. The cane at this school had been repaired many time at the ends with tape, that it was now far shorter than most, meant that the teacher using it had to put far more effort into the punishment. At this school to see a stronger willed fifteen or sixteen year old reduced to tears after the cane, made it easy to see that the masters put as much effort into the blows as they possibly could, from what I had seen it was only our hands that suffered. At one point I was called to see one of the teachers that did not normally take me for any lessons, at first I thought it must be for some problem I had caused. Soon it was revealed that he wanted to have a couple of boys in charge of the weekly school savings. How my name had been selected I could not work out. with the larger number of the more academic pupils and having knowledge of their behavoir over several years, why I should be chosen was never explained. Two of us started out, but within a few weeks I was the only one in charge of the other pupils savings. At the end of the morning break the totals were checked by the teacher and the cash put in a safe place. Once lunch was over I had to collect it and take it to a bank almost a mile away. On most occasions the total amount was around the thirty pounds or so, after Christmas I was taking over a hundred pounds. If a few of the more untrustworthy members of the school had found I was simply walking down to the bank with that amount of money there would have been trouble. There did not seem ever to be any problems with my accountacy as the books and money seemed to tie up at the bank. On leaving it appeared this matter was put down onto my school report, which was ideal. The school had problems of space it was that it was built over two different sites with a ten minute walk between departments, it was mostly our own time that was used to cover the distances between each school. The ranges of lessons were a little bit of a problem for me, several items I simply had never attempted before. In chemistry the periodic table and chemical formulae were totally new. At my last school we had learnt the current name and the traditional name for each item, this was of little use here; it was the current name and the formulae that were required. Occasionally my work book had a massive red crossing out by the teacher where by mistake I had written in a traditional name of a chemical, some of my friends could not understand the teacher writing 'Obsolete' across some of my work. Physics was a total mystery; I seemed to get through the lesson simply not understanding what anything was about. Geography and History were similar in matter to the lessons I had been used to but the subject range was slightly different. Games were a total waste of an afternoon, the school was short of space and our sports field was a good twenty minute walk away. Anyone living close to the school used the lunch break to return home to change; those of us unable to do this had to make do with the poor facilities at the playing field. Football was the main object of the afternoon, with more than enough to make two teams the rest of us were sent to run round the perimeter of the field for the entire afternoon. Swimming at the local pool did take place on occasions; there was a slight argument between a teacher and myself after I was placed in the non qualified swimmers group. In this area the stages that badges were awarded for were totally different to my last location. My swimming trunks bore evidence of the various higher levels I had already gained. In this area they were meaningless, there were totally different badges you wore to show your qualifications. To me it would be simple to show the teacher the level I had qualified and then obtain the new style badge I was entitled to. If there were daft rules, I was now told that I would first have to do the lowest level and gain that badge, then move up to the next and so on. To me this seemed a slightly daft approach but to get the six levels if I did not manage it in one session if there was not time it would take no longer than two sessions. It was now explained that only one session was to be taken at a time, before I could move onto my fourth badge I would have to take the lifesaving badge, although my trunks already showed the badge it did not count as to him I had not passed my third stage at this school. There would be a delay in taking that test as we were seen in groups every three months or so and then in our own time rather than during a lesson. I remained calm and did not cause any problems, if the teaches wanted to be so daft I could be also, I made no attempt to even attempt for even the lowest badge, remaining in the learners group I spent any lesson at the pool simply swimming in circles at the shallow end of the pool. On Saturdays I often went on my own to the pool, simply to get the chance to use the full length of the pool and to have the opportunity to dive. On one occasion my attendance clashed with a group from the school that were in the progress of obtaining one of the higher levels of badge that in theory I already had acquired. With the pool been available for the public there was no control by either the school staff or the overseers taking the test had over the public already in the pool. One third of the pool in length had been fenced off to keep those taking the test from the public part. I spent my time mimicking the exact test from the safety of the public area, where it was a simple test of number of lengths and range of styles; this appeared to annoy the teacher slightly, as I was in the area where he had no authority. When our paths met at a future lesson I was ignored. I found out a way of avoiding football or running, it was to realise that a few boys were allowed to do golf. This was available on a Friday afternoon when the school formed into various club groups for activities. Golf was something that would not have appealed to me, but allowed me to ask one of the masters if there were any other sports available. Those that took golf on the Friday afternoon were often allowed to do it on their games afternoon as well. Swimming was suggested, but knowing the problems I had with one of the masters in charge of the swimming lessons I declined this idea. I was now asked was there any activity that I could suggest. With none of my friends around I quite openly mentioned that I had an interest of horses. I could have easily expected to be laughed at over this idea, but I was told that in previous years the odd boy had gone with the girls, but currently there were none from this school attending. If I wished, he would find out the feasibility of this option for me. It was a couple of weeks later when I was told that if I did not mind that I was the only boy, I would be allowed to go. There were two types of lesson I could take. 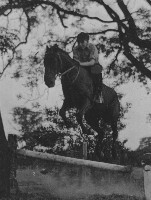 One was by making a payment each week; I could spend most of the games period in a riding lesson. The other would not have any major cost would allow me a short riding lesson, but some of the time would be spent in chores. Due too the lack of money I opted for the second choice with chores. If I found one advantage, the actual location of the stables that the girls attended was in the direction of where I lived. The only problem was that the time I was required to be at the stables did not give me enough time to return home to change due to the lack of any quick bus service. The equipment I needed was not any problem, the riding boots and breeches still fitted me and I had found a hat where we lived that was no longer required. To the rest of the boys at this school, riding would be thought of a sissy. Whilst it was quite easy to keep my hat and breeches in my duffle bag, the long leather boots would be impossible to hide. If I left them in the coat area, someone was bound to hide them or cause some problem just for fun. I resorted to wearing the boots under my trousers as I had done at the last senior school and nothing was ever noticed. With the school trousers been fairly loose I soon found I could also wear my breeches as well, which saved the problem of changing at the stables with all the girls around. Any disappointment was that I had only managed to take up this option during my last six months of my time at this school, but it was six months of total pleasure of getting out of ordinary games lessons. The girls did make some fun of me, but I knew not to cause any problems as I would soon be told to leave. It might have been thought that as a boy I would be given all the heavy tasks, I was surprised how much in weight some of the girls could manage, if there ever had been a competition, I would not have been in the first three. Those of us that were working for our lessons could say on after the main lesson to get a little bit of extra time if we showed willing to help with extra chores. Once over it was a fifteen minute walk home in an exhausted but happy state. The year at school passed quite quickly, if the was any disappointment it appeared that trying to get work in my preferred interest was not possible. Shortly after Christmas the careers master seemed to suggest that the catering industry might be an outlet for me. With the town a holiday resort there were always hotels that required staff, if I managed to get a low position in one of the bigger ones, there was always the opportunity to get day release to study more and further my career. As my age allowed me to leave before the summer holidays as soon as the exams had been taken, it might give me a head start. Many firms would accept you without your results if the school gave a favourable report, the actual results did not matter at this stage. Soon it looked as if one particular large hotel would have a vacancy at the time of my leaving, around that time I should go for an interview. During our exam sessions for C.S.E. and G.C.E. we were informed that there was also a different exam that we would all be taking. Everyone having spent the last year swotting up on the subjects that were been taken, were told that there would be no revision needed for this exam. Half a day was now spent on an exam with pre printed papers. A few of my friends kept asking the supervising teachers what they were meant to do, to them this exam made little sense. The only answer they were given was that they should try and work through every part of the exam, if there was something too difficult, just move onto the next part, if there was time when the got to the end of the paper to return to the sections they had not completed. This style of test I recognised straight away. It was the same format as the one I had been taken to do in London during my stay at the Home. While I slowly went through the sections, I could see many of my friends who I regarded as much more intelligent than myself floundering. Few it seemed could follow the instructions to move further on if something was difficult. Within the time allowed I worked through the paper and had a little time left, several of those around me had actually given up part way through. If you turned your paper face down, you were allowed to finish the exam and leave at that point, however you would not be allowed back in. As our papers were been collected, I could see the staff looking at them as they took them off us, it seemed that few had managed to reach the final few pages. I could see my paper been flicked through. There was a good bet that they were guessing I had put down random answers just to complete the paper. I was happy with this form of exam, having to write pages of long answers was always the worst exam for me, these single answers were ideal. As I was allowed to leave the school before the exam results were given out, I never was able to find out my IQ in this recent test. The results for my C.S.E. exams were average for our age group. There were a couple of businesses that I had originally contacted over my original preference for work, although they did not appear to have any full time work, odd part time work had been found for me. At the point of our exams one of the dealers decided that there might be a full time job, within a short time I was offered a job on leaving school. Almost at the point of leaving school, the other dealer approached me offering a similar line of work. It was a little unfair to now change allegiances, but the second offer was slightly more interesting in style of work, it was closer to where I lived and on hearing the amount I would have received slightly bettered the amount of pay. The report I received from school seemed to seal the offer of the job. Staying on the extra year at school simply allowed a vacancy to appear at the time I could make use of it. There was still contact with the Home. Each year at Christmas we were sent a newsletter listing all the events that had happened to the family during the year and how everyone was going on. These were all written by the Sister or Houseparent at the end of each year, once typed up and duplicated at the main office they were sent out to relatives of the children, past residents of the family group and any friends known to the houseparent. The first Christmas after I left there was a small mention in the newsletter that year of how I had left the Home and was living with my mother. The next letter the only main changes were that a couple of children from one of the other flats had now moved in and those that had been older during my stay had now left school, it was mentioned the jobs they were doing. The events that had happened during the year were reported. The newsletter that came three years after I left was the last I received of news of the Home; its content was much like the previous ones, it listed all the events of the year. It must have been complied around the start of November. At the very end of the newsletter an extra paragraph had been written in by personally by hand in the distinctive writing of the houseparent. The death of the younger member of the group that I had shared a room with was now reported. His death had been while the newsletter was been produced, an earlier paragraph had been left in of his events during the year. The illness that he had always suffered had finally caught up with him. To the adults it was know in advance that his life was not going to be very long, yet as children, although we had been made to take extra care over him by ways of diet and medication, we had never been informed that his life would end soon, he had been made to live almost the same life as the rest of us. It was several years before I decided to pay another visit. If there had not been relatives living in the same town as the Home I would not have had the idea of making any return trip. From outside the main entrance there were only a few changes. The sign that had read ChildrenÆs Home and Orphanage had been replaced with a more pleasing style that showed a picture of a child and only the words ChildrenÆs Home. I walked along the long half circle of drive that lead to the main administration block. As this was a Saturday, there were only minor differences that could give any clue that I was not back all those years ago. The children that were out at play were similar to children of my time, the clothing in some cases had changed slightly, gone were the shorts and jumpers to be replaced with tracksuits and long trousers, but scattered about were boys and girls that could easily have been quite at home here during my stay ten years ago. There were a few more vehicles moving about and several more warning signs that advised the children to be careful, but as with my time such signs were simply ignored or used as some part of play equipment. The office was open, it was with slight fear that I went in. I had already telephoned them to ask if it would be all right to come up and see them. Within a short time they took a few more details. I was told a little more of the events of the Home since my leaving. If there was one surprise it was to be told that the original Sister that had looked after me was still living in the town. I asked if it was possible to have a note of her address or telephone number as it would be nice to make contact, other than a few odd visits after here retirement, I had lost all contact with her. The staff in the office did not really feel it was right that I should be given these details without her knowledge, however as she lived locally, a quick telephone call could be made to ask her if it was fine to give me more information. The Sister remembered me, within moments the phone was passed over to me. It was such a long time since I had heard her voice, yet instantly it was so recognisable. Apparently she was still in good health, originally on retirement she had gone to live in a small flat, since then however she had returned to work and now was doing some light housekeeping duties. I was invited round to see her and given the address of where she now lived. As there was a little shopping that had to be done if I arrived nearer to noon that would be more convenient. Once the telephone call was finished I obtained more directions from the staff in the office. I asked if it would be alright if I had a look round the grounds of the Home to see how things had changed. It seemed as if that was fine. Within a short while I was wandering over my old haunts, the flats had changed little; soon I was accosted by a group of small boys aged around eight or nine. It was almost a demand to know who I was looking for. I explained that years ago I had stayed here and had simply come back to see if there were any changes. To most of the boys I had answered their questions; a game of football was of more importance than telling me of any special things about the Home. There was boy who stayed slightly apart from the main group, it was easy to recognise myself at his age as not part of the group. Not really interest in the football, he made no attempt to run off with the rest of them when the ball was kicked by one onto the main area of grass. It was easy to see the others were keen on football as all had proper football boots on; he was the only one in wellingtons. It seemed I was still a curiosity; he wanted to know more about me. I was questioned to how old I was, my name and several other questions that around his age I would have probably asked a potential friend. Within moments as we slowly walked passed a few of the flats he pointed out which one he lived in, and asked me to point to the one I had lived in. I was asked did I want to be shown around the Home and told where everything was. With a couple of hours before it was time to visit Sister I agreed to be given the tour. There was an odd feeling this was something I could quite easily have been doing ten years or so ago. That an older person seemed to have an interest in his surroundings, appeared to be all that mattered. Although I had not really come prepared for a trek across damp grass, I followed the boy. He talked for most of the time, I found out that he had been in the Home for two years, he was now ten and the eldest in his flat, all the others were much younger than he was, but many of the other boys picked on him as he was small. Until he told me he was ten, I would have taken him to be about eight, but as I had been tall at his age, I didn't realise what it was like to be small. To be taken to the farthest part of the grounds was odd; to most boys the football field, the playground and several other areas would have been first on the list, but I could understand how his mind worked, it was easy to feel that I was taken down here simply as it was the furthest point that you could get in the Home from everyone else. It was so easy to see myself standing here. Other than the tracksuit and not dungarees or short trousers this was me ten years ago. Soon I was told how in the flat he seemed to be given all the jobs to do and was often blamed when the younger ones caused problems. I told him that it was similar when I had been in the Home, only then it was the older boys that caused the problems, as I was the youngest they found it easy to get me blamed for everything. I told him that he had more opportunity for getting even. If there was a smile on his face, it was that I had latched onto something that appeared to be his secret. I was soon told of all the ways he found of getting them into trouble. The best one it appeared was telling the younger ones in his room that it was dangerous to leave the room at night to visit the toilet as there were monsters that come out at night and hide in the corridor. It meant that everyone in his room wets the bed. Now taken through the woods; this appeared to be an indirect route back to the main part of the grounds. Asking did he come here on his own, I was soon told yes and none of the other boys in his flat would ever go into the woods alone, he soon told me that he had run off and left one of the youngsters alone for a short while just for fun, none of the adults found out so he never got into trouble over that. It was easy to ask what punishments they gave out when he did get into trouble, mostly it appeared that he was made to go into the bedroom and stay there on his own. I asked did they ever give him the slipper or the cane. It appeared that they threatened to give him the plimsoll here, but had never done it, they had given it at school and it had made him cry. I was asked had I ever had it whilst I was here, I admitted that I had been given the cane by the governor and that had made me really cry, on most of the other times I was punished by the governor with the plimsoll. The Sister and Houseparent that had looked after me had both given me the slipper at various times and I did end up in tears. When I reached nine I was also given the slipper if I wet the bed. He told me that he would have hated that as he still had some wet beds at night. I was now asked about school, admitting that on several times various punishments were given out and many of them did make me cry. I was asked was I frightened about getting punished. Until now I had never really realised how frightened I was of punishments. It was simply fear that I did try and make some attempt to be good, but this generally failed. The boy now told me there was one way he could get the others into trouble in his flat. As two of the boys took the same size clothes as he did, often they wore each others clothes, if you got someone else's clothes dirty they would get into trouble. He made a joke that it was fun to try and get them blamed when the adults thought they had accidents and it was really him. I told him at that age of eight the Sister that looked after me had made me wear waterproof pants if I was going to chapel, as she didn't think I could last the full service with out the need for a pee. He said he wished he was allowed to have a pair, if he has problems they all laugh at him. We walked through the woods back in the direction of the main field; I was now asked could I give him a bit of extra pocket money as he would like some extra sweets. If there was courage here it was not something I would have dared do, if Sister had learnt that any of us had asked for money life would not have been worth living for several days. On asking how much he needed, it was easy to tell he was not been greedy. If life was still the same, I was asked could I give him small coins as the staff would question him if he had large amounts of money on him. In ten years nothing seemed to have changed. Through experience I now suggested that it was best to hide the money before going indoors. If he found an area in the woods to hide the money at a place he could easily recognise where the others would not find it, the coins might be safer. Between us we found a spot where it would be easy to find again. I parted with all the smaller coins I had with me, when it came to actually spending them as long as he did not part with them all at once, he would never be found out. He decided that he was going to take a few now, so as not to be found out he decided to hide them in his socks, if he kept them in his track suit they would make too much noise. I could not help thinking how this boy had thought everything out, I decided that for comfort at the moment it was best to leave the change here for the moment, I found a couple of coins that might not rub as much if he put them in his socks. He sat on a tree trunk whilst I helped him off with his boots and with the putting back on, with the couple of coins now well hidden. Getting him to look tidy on his return and not to have everything loose, was a way of keeping the money secret. Eventually we returned to the main part of the grounds where noise and chaos still ruled it seemed. It had been so nice and quiet in the woods. As I left the boy pleaded for me to come back soon, he wanted to show me more of the Home. On leaving the Home I followed the directions that had been given to me, soon the small bungalow that Sister now lived at was found. I rang the door bell. Sister opened the door. Although I was now much taller and now towered above her. I was recognised straight away. Within moments I was asked in, having tramped through the damp grass on the tour of the Home with my new friend, I was a bit worried of marking the carpet with my shoes, but to Sister there was no problem, there was not any need to remove them. It seemed so odd to call Sister by her real title of Miss, but as one of the older Sisters her surname was the one she was always called by rather than a Christian name. It appeared though I was to call her by her first name. We sat down and had a short chat, it was now explained that as it was lunchtime, would I like to stay for a meal, originally I had planned just to make a fleeting visit, but soon I accepted the invitation. At this point a middle aged man came in from the garden. I was now introduced to the gentleman Sister now did the housekeeping for. It appeared like looking after us, it was a full time job making sure he left everything tidy. It was a friendly set up; I could tell that Sister did not have to use the threats too much here. Whilst Sister went to finish getting the meal ready, I sat down and talked to the gentleman. It appeared Sister was still very active. From what Sister had told him it appeared we were a bit of a handful at times. A more leisurely way of life was now preferred by her. Soon Sister was back, the meal commenced, Sister was still head of the table and everything was back to normal. When Sister asked me which vegetables I preferred, I suggest politely that until now she had never given us the option, this was tolerated without a major telling off. I was asked what I was now doing and was I still with my mother. I told Sister that my mother had not yet retired from work, but I still saw her quite often. Sister remarked that she was always pleased to see my mother when I was brought back to the Home after a visit; it appeared they had one thing in common, liking endless cups of tea. Sister told me everything that had happened since leaving us, when she first moved into the flat she had felt rather lonely without us, having spent so many years surrounded by children, but now she had a quite active life. Now I was told that when she left the Home it was thought that almost no contact with us was the best policy, we would be best left to the new Houseparent to bring us up, she had slightly different thoughts on how the flat should be run. It was easy to tell Sister that most of the family group had been very upset when she left, although I had only known her for a year, others had known her for much longer and were really upset when she did not come back often to see them. Sister was right when she had said that the new Houseparent had different ways of running the flat, although Sister had been the strictest Sister at the Home, she was fair, the new Houseparent did slight have favourites of those who she was in charge of. Soon I was told that a few of her old boys did still keep in contact with her, most of them were before my time, so I would not remember them. I was the first boy from her last period to have made contact, possibly there were a few that she doubted that she would ever see again, but the eldest girl that had been there during my stay was still in contact with her, she was now married and started a family. I had to ask was I a nuisance, as I always seemed to be returning back to the flat with some cut and bruise. Sister mentioned that I was always in a rush; she was just surprised that I never fell down the concrete steps that led down from our flat. It appeared that I was not a bad child, but always in a hurry. She was just pleased that I had been able to leave the Home and return to my mother, The Home life was not always fun for me. As the meal finished I was encouraged to stay seated whilst they cleared the table, washing up was still done in turn. Sister went to fetch something that I might be interested in. A family photograph album was now brought out. Starting from the end, Sister showed me the events that had happened since leaving the Home. Then there were sections of photos of all the children that she had looked after at the Home. The final page of this section had photos of all the ones that had been in our flat during my stay, most were of happy children in single school photographs smiling at the camera, if there was one not really smiling it was me, but I was not really sulking either. It seemed odd to think all those shown on this page would be all grown up and except for one girl; all would still be older than me. Slowly she went back through the older photos and pointed out which boys were still in contact with her and what they were doing. Most it appeared had joined the Navy and had very active and adventurous lives. I only had odd recollections of one boy that had been at the Home before my time, he had visited us a couple of times whilst I was there, Sister had always said to us that this was how we should be when we left the Home. I asked Sister did she always try to get us to join the Navy, I was now told by her that several of the boys that did not have any close relatives she did try to interest them in such a career, if they had been in the Home for many years, then a more organised group life was something they would be quite happy with on leaving the Home. It appeared that if we had both been at the Home when I was due to leave school, the Navy would not have been something that would have been suggested as a career, it appeared I always wanted to do my own thing. It was easy to tell Sister that although she had been very strict and at times we had both fallen out, I thought that I had a happier time whilst she had been in charge than later on. Sister mentioned that if we all knew the limits of what behaviour could be tolerated then we knew how to act, whilst some of he other Houseparents sent bad children over to other staff to deal with, it was thought by her that it was best if we never were allowed to get to that stage. Sister told me to try and keep in touch, as I had relatives in this town, if I made another visit to them, I would be most welcome to come again, it was nice to be able to show off some of her successes for all the years she had been at the Home. At this point the man mentioned he had to leave, he was pleased that I had been able to visit, Sister had told him of our many antics we had been up to, it was nice to be able to put a name to a face. Sister now mentioned that she had to go out again soon, I might like to walk with her down to the bus stop, there were several other things still to talk about. As Sister went to get ready to go out, I happened to look down to where my feet had been, a small clod of earth had fallen from my shoe, although not really making a mess, it was now starting to dry out and spread further. On her return I apologised and offered to clean it up. Sister was not actually cross, it appeared us men were always dragging mud across the carpet. When we were children we had been taught to make sure our shoes were always clean, why did we always seem to forget this rule, however she had been happier looking after groups of boys early on rather than been on the girl's side. The carpet could wait until later. We left the house and walked down the road to the bus stop, Saturday afternoons it appeared was her day for visiting her friends for tea. We talked for a little more until the bus came. Having visited the Home it had been such a nice event to have been able to come and visit her. We parted, Sister had written down her address and telephone number for if I was ever in the area again. Over the next few years we did still keep in touch. When she decided to move down to the West Country, we still kept in contact and I did still occasionally visit. If there was a happy note it was that Sister managed to keep a fit and active life for many years to come. Sister however was not the only member of staff that I was in contact with. A few years after I left the Home the Houseparent left the Home and returned to London. A Christmas newsletter was sent by her telling us all the new events in her life. There was a party for her mother, several friends of the Houseparent were going, it was mentioned that a couple of the girls that I had been at the Home with were going to attend so it would be nice if I could come. It was interesting catching up with all the news, on the day only one of the older girls that had been in our flat was able to attend, but it was in interesting meeting to talk between us on the events that had happened during our lives. I remained in contact with the Houseparent for several years, until a swift illness cut short her life, at a far younger age that most of us would have expected. It might be that the stay at the Home has engraved the deepest memories in my mind. Each time I have visited relatives in the town, I have tried to pay a visit. A few years ago I found the Home had more or less closed down; it appeared that current thinking in the way children were cared for had changed. Large institution type Homes had really become redundant. Keeping children either with their parents or more open in the community was the way ahead. Most of the other Homes had been redeveloped; Harpenden it seemed was not that easy to kill off. A visit to the grounds showed that there was still some activity. I walked around the grounds. All the buildings although in use were in a state of disrepair, odd broken windows on the porches, window frames that had paint peeling and several other matters showed that life for the Home was not that good. The steps that led up to the flat I had lived in had weeds growing in parts. If Sister had seen the slightest spot of dirt on the steps one of us would have been sent out with a broom to sweep it clean followed by a good washing down. 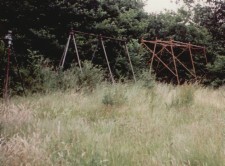 The play area with the equipment was totally overgrown the wooden play equipment had simply rotted away. The swings were down to their bare frames. I went down to the small cemetery to see if I could find the plaque for the boy that I had shared a room with and also for another boy that I had known, these I had seen on my last visit, I expected to find the cemetery all overgrown, but it was still beautifully kept. His plaque was very slightly covered over, I cleaned it away. If there was one of us that was able to leave our mark on the Home he had succeeded. I thought this was possibly my last visit to the Home, with land prices in the area reaching amounts that were thought impossible, a site of forty acres could not last like this forever. It was simply noticing a small reference in a newspaper about reunion for children that had attended a home in a Harpenden. On obtaining more information, it appeared that the Home now had a new lease of life, although it was not now a children's home. A religious organisation had taken it over and were now improving the life of young people from around the world. Although it was not really a meeting for past members of the Home, many were thought to be going to a fun day that was organised for a Saturday in the summer. 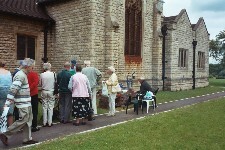 Just like the open days that had occurred when I was there and people from outside the Home came to visit for the day. A similar event was now to be organised. On my arrival the grounds and buildings had all been returned to their former glory. 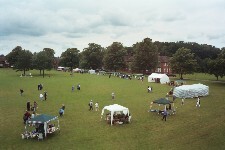 The whole of the grounds were open to all. 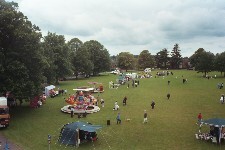 Although the day appeared to be overcast, windy and threatening to rain, all manner of events and shows were in progress. With the freedom to wander the grounds, it was so odd. The flats and other buildings were still all standing, additions had been added but very little had changed in over thirty years. It was so difficult really to think it was that many years since I had been playing here. If there was one building that was disused, it was the heating plant that had served half the flats, even when I was here it had been temperamental, someone had the sense to give up totally on it. I walked up the steps to the flat where I had spent my time and knocked on the door. It was answered by a young lady that had only a slight command of English, she explained that she was here to learn English, possibly it had not been explained to the current residents that there might be odd people around trying to relive past memories. I was invited in, the layout of the flat had changed slightly, the young lady was happy to show me around and was interested to learn that I had lived here all those years ago. The kitchen was now a bedroom and other rooms had been swapped over, our big dayroom was now several bedrooms. I asked if it would be possible to look in the room that had been our bedroom. This was happily allowed as it was currently unoccupied. A wardrobe was positioned where my bed was. If it was thought to be strange, I put my hand behind the wardrobe and tapped the wall, it echoed, the glass hatch that Sister had used to keep an eye on us was still hidden under a sheet of plasterboard. During my stay when our flat had been modernised this partition had been covered up. The lady was able to soon understand my motives when I explained the original layout of the building, eventually I thanked here and went back into the grounds for more exploration. The small railway line at the side of the grounds that had the occasional train had now been closed; this had been turned into a public path. That we would now be able to use it officially to walk along, meant that there would be no daring fun now. 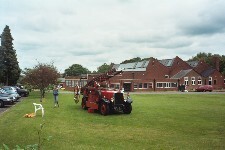 An old fire engine was on show for the day, however unlimited climbing by children was not allowed. The old abandoned cutting that lead to the railway club was still there, I followed it down. Although there was plenty of activity and noise in the main part of the Home a short distance away, this place was silent, I simply had liked this place during my stay for this very reason, once in this area you just did not seem to be in a children's home. Nothing had changed, the high fence with barbed wire was still here as was the heavy gate that was firmly padlocked shut, they still must want to keep us out. Returning to the main grounds little had changed. The Block was still there and open for us to go in; a couple of rooms on the ground floor were set out explaining the current activities that happened here. Although possibly it was not intended that we went any further I could not resist going up stairs to see if the room where my enforced Sunday school lessons was still as I remembered it. The room housed the clock and gave a wonderful view of the main grounds. On a Sunday when I had been there it was looking out and watching the other children at play simply made me dislike Sunday school. The passages and rooms were all decorated in bright colours; the drab colours of my time had all gone. The view from the top windows of all the activities showed the Home at its best, everyone was having fun. One part of the Block was of interest to me. At the side there used to be a flight of steps that led down to a cellar that was always flooded to varying degrees. During my time at the Home, the staff did not ever seem to solve the problem of the water. The door to the cellar never appeared to be locked. The cellar became an ideal place to hide from enemies and also a spot for hiding odd items of treasure I acquired. The entrance to the cellar now seemed to have a permanent cover over the top and sealed to stop anyone going inside; there was a good guess that the problem of the flooded cellar had never been solved. I wondered if any of the odd items of treasure I had left down there were still hidden. Only after the picture was developed did something odd appeared to be on the film. All I can think of is, not only is my treasure lurking down there. The chapel that we had visited for a service every Sunday was still much as I remembered it, the wire guards over the stained glass windows had now gone, a stray ball kicked could have done enormous damage to the major stained window. Inside the chapel all the pews had been removed, which made it easy for a small refreshment area to be set up for the day, a small display of photos of the Home and the children over the years had been put up. There were several of my time here, but none featured me, there was however one of a room mate grinning in his regular way. Outside the chapel, a BBQ was in progress, not something that most of the Sisters would have approved of so close to the actual chapel. I looked to see what other buildings still survived, the huts where scout and guide meetings were still standing, the path that led to the workshops was getting on territory that was really out of bounds, very little had changed. The orchard area had partly been cleared out; the old greenhouse where the rubbish was burnt had gone completely. At one side of the old orchard a more ornate garden area with a seat had been created, not normally a person that ever spent much time sitting down, I could not help sitting down and looking out onto the large playing field thinking about what had gone before. In my mind the events of the last thirty years are hardly memorable, yet sitting here it seems simply a short while since I was here for what seemed an endless period. As to my thoughts it was that I could see that if I had tried to fit in my life might have been more enjoyable, but would I really liked to simply be one of the children that had no real future to dream of. 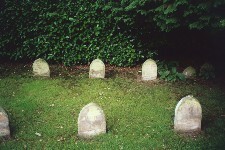 I walked across the field and headed to the railway line and small cemetery. The graves were all neatly attended, there was evidence of regular family attendance on some of the graves as bunches of flowers were visible. The plaque for my room mate was still there, I did remove a slight excess of grass again that was growing around the edge, the weather had slightly started to damage the lettering, in another thirty years it will be difficult to read his name. A plaque of a friend had fared slightly better. Looking at the graves of children that had died many years before my arrival the headstones in many cases had been affected by the weather slowly names would vanish completely. 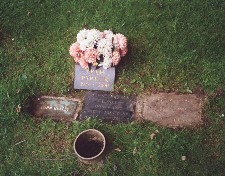 The cemetery was not simply devoted to children, several of the graves were those of the Sisters and a few other members of the staff were also evident. I was not the only person that had wandered this far, although the majority of those who were attending today's event would have little knowledge that this area existed. One man I soon met told me he had been at the Home in the early 1960Æs one of his friends he thought had died shortly after he left might be here, he had simply come today to see if his grave was marked. Walking out of the cemetery I met an elderly man, I soon was engrossed in conversation, he had been here during the war. One of the members of staff he had known had been buried here, he was simply was coming to pay his respects. He told me in those days the Home was run in a very strict manner, put one foot out of place any you could expect extreme punishment. It appeared that the Home had started him in the merchant shipping service and from that point he had travelled the world and had plenty of variety in life. Later on he had settled down and started a family, it was simply a pleasure to come back to see the place still existed. Next to the cemetery the railway could still be heard to be in use, however a good covering of trees and bushes now obscured the view, had this been in place when I was here it would have been possibly a safer environment and there would have been no thoughts of going onto the line at this point to solve the problem of my life at the Home. I walked through the woods, although as an adult most things you remembered as a child now seemed to be smaller, the wood actually seemed to feel larger. I might have been more active in those days and been able to have greater distances in a shorter time, but the woods still had that feeling that you could appear to feel nice and lost and not have the presence of others around you. It was only when I came to the edge of the wood nearest to the playing field that it was possible to recognise the trees that were climbable and the ones that seemed impossible to get any start at all on, the years had added more growth and extra branches, but here or there our acts of vandalism on creating an easier climb were still noticeable. Rejoining the main visitor area and taking more of an interest in the events that had been organised for the day, I could see how easy it was whilst I was here that people attending the open day, had little inclination of how the life of the Home was really going on around them, if they saw children at play on that day it might be children from the Home or they might be children just visiting for the open day, it would have been difficult to tell. On the open day all of us would have been on our best behaviour, make any trouble and at some later point you would be dealt with. Looking at the events of the day, possibly it would be nice if the Home Estate could survive as a group of buildings, if the use they are currently put to can continue. In time other uses might be found for the estate. It might be possible to keep everything as it is currently planned, but buildings will need to be modernised and nothing lasts for ever. The buildings where the flats are, might have a life of a hundred years or so, at some time however major changes will have to be made. It would be nice to see annual events taking place and the grounds opened up to the public, if not yearly then even every ten years or so would be ideal. Some years ago my thoughts might have been different. Completely removing every building from the grounds and returning it to ploughed fields would have been something I could happily have witnessed. However today this is only how I would like to see the Home Estate in this form, if it is not possible to keep the layout intact. To see a housing development or out of town shopping centre on the site would be a total disaster. In the future it could be possible, the chapel and the small cemetery would probably survive intact. 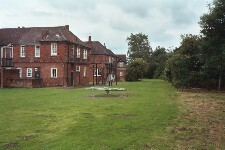 However buildings placed where children played and lived might not be comfortable for their new occupiers. The energy that we expelled in our play might be simply dormant at the moment, just waiting for a chance to cause mischief. 2005 It appears that part of the site at Highfield for the moment will not be available as a housing development unless there was the posibility of removal of Green Belt Status. Site 654: Nine hectares at the Highfield Oval and BUPA Hospital at Ambrose lane. This however will probably be one of the sites excluded from consideration for Green Belt development scheme: if so it would be of little interest to developers only investors who could wait for a later decision for permission to build, but the council have considered for removal from the Green Belt the following site 655: Twelve hectares south-west of Ambrose Lane, Harpenden. As a child I never did get my own pony, however at the age of 40 I did get a horse. Since leaving the Home there has been little contact with those that were at Highfield during my time there. Apart from one girl from the flat that I met a few years after leaving there has been no contact. If there was one person I would like to have made contact with, it was the boy of the same age as myself that went with me to London to see why our school results were so poor. Would he know any more about why it was just the pair of us taken up to London? There must have been others in the Home that were having more problems over behaviour than us. If my life has been full of odd chances, here was another. On looking on a site on the internet, here was the boys name. On making contact, it appeared that he too had little idea why he was selected to go on the intelligence test. Like me after the test little was explained by any of the staff as to the results that were obtained. Kevin has now got his file, slowly he will piece together the years in care. As to other contacts, my room mate Lenton has now been found. He left the Home at the time he was due leave senior school and went off to college. Then he spent several years of interesting travel, now settled down, life for him is happy. I'm told that all the others that were in the flat at my original time, like him spent most of their childhood in care, it appears I was the only one that got away. I still have the suitcase that all my possessions have fitted into since the age of five, which was used on our various moves around the country; itÆs ready for if I decide to move again. Trying to work out what I should take will be as difficult as ever. As for my life, I''m still single, but I think I''m now ready to marry. So if the girl who in 1966 that wanted to marry me is still free, the answer is now - Yes. My life after leaving school. Having started in a retail stamp business in 1973, it changed slightly into a collectors auction in 1980. When the owner retired in 1992, I took on the business and my hobby of swapping, selling and dealing from my childhood became my life and still is fun. Health wise I''m not as fast as I was, but I don''t feel my age, I think I''ve got three years of my childhood still to take. Some time ago I diagnosed as a diabetic, it was thought by the doctor that I might have had it as a minor problem for several years. I''ts just my luck now that I can afford all the sweets I want and have the time on my own to eat them, I still don''t get the chance. My handwriting never did improve and the scars on my legs from the cane at school did eventually fade away, but the other injuries are still quite visible. Lenton at the 2009 reunion with a teddy bear.